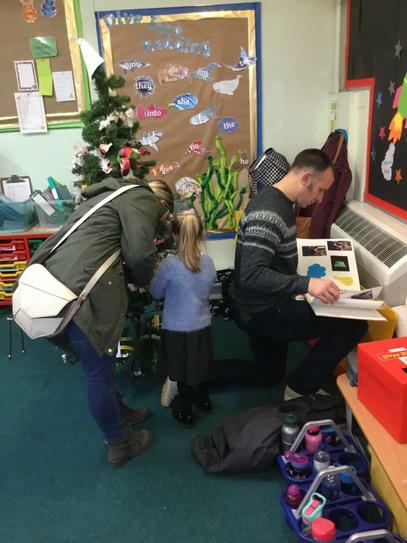 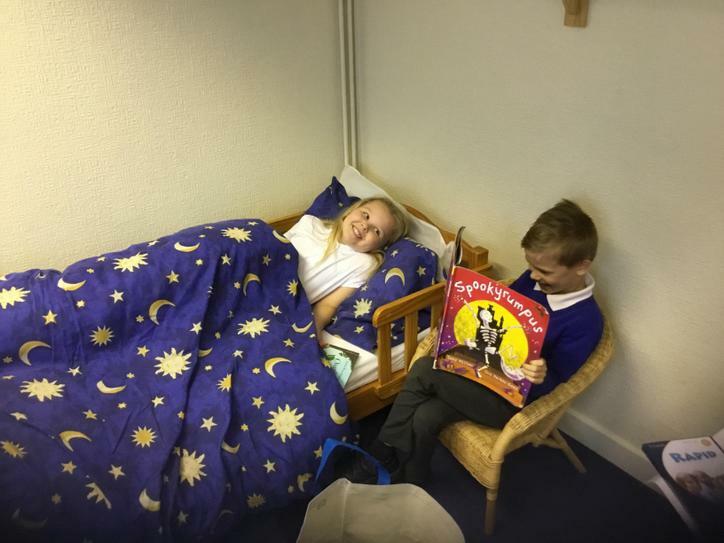 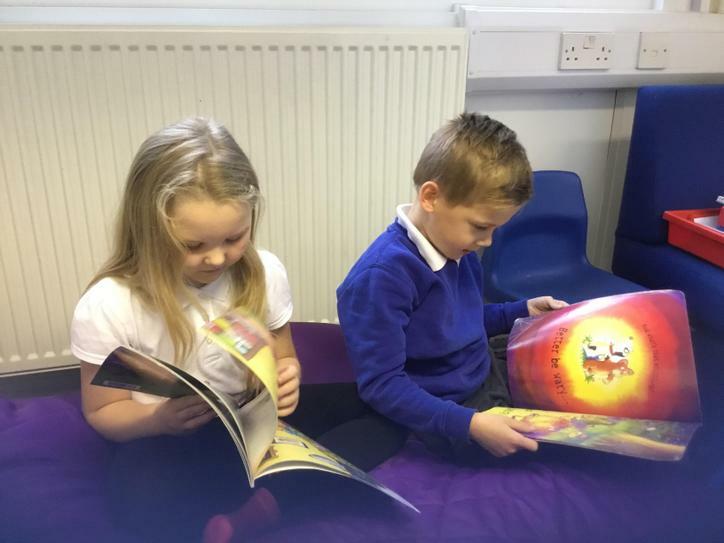 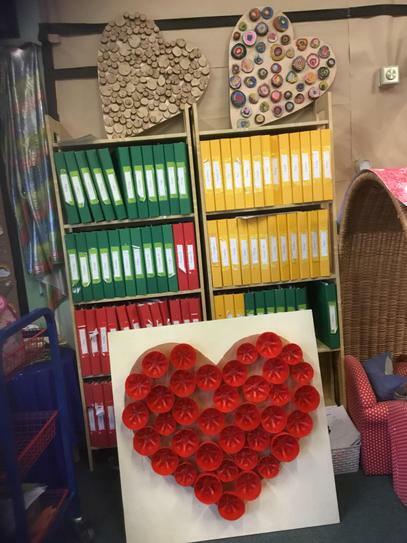 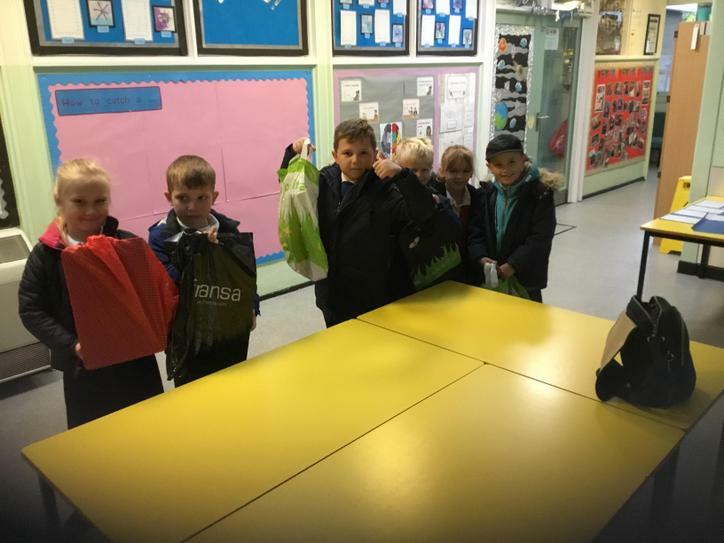 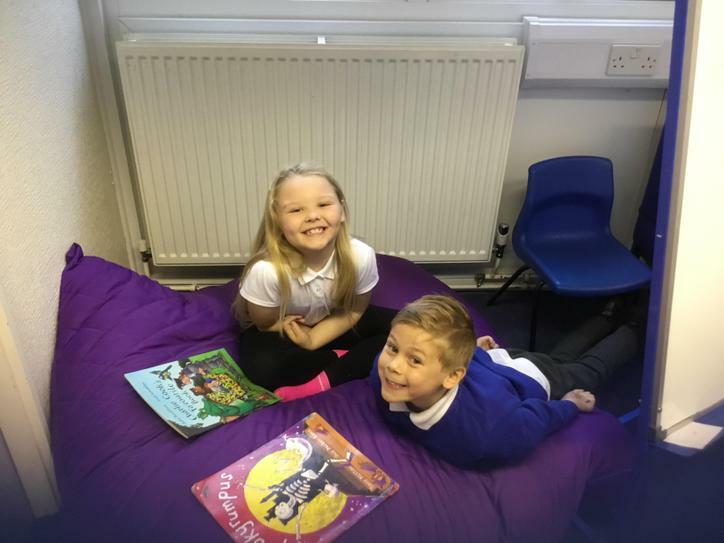 On World Book Day, Debbie from Asda's Community Team came to donate books for all of our children! 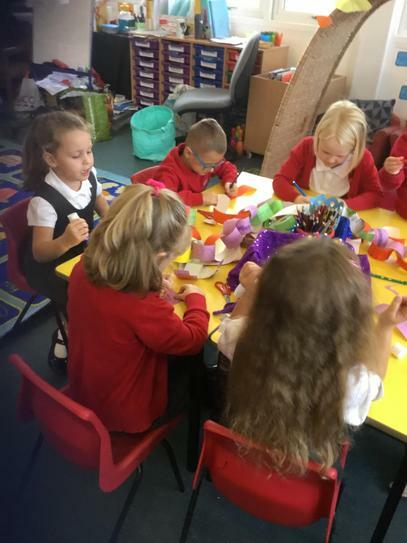 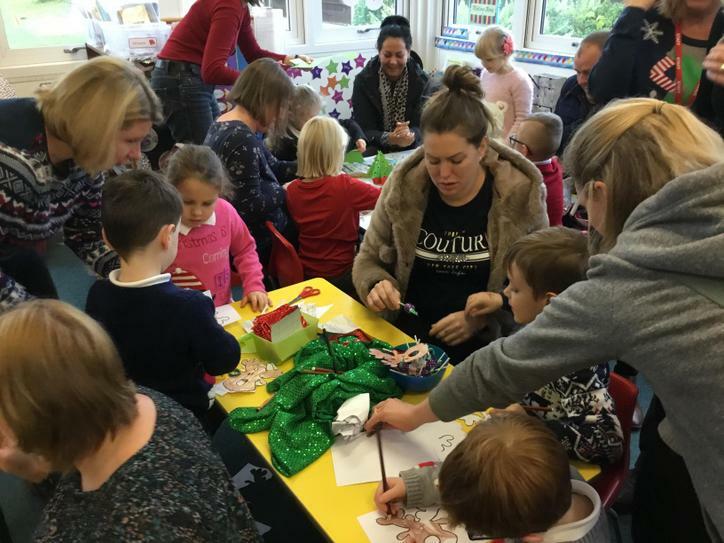 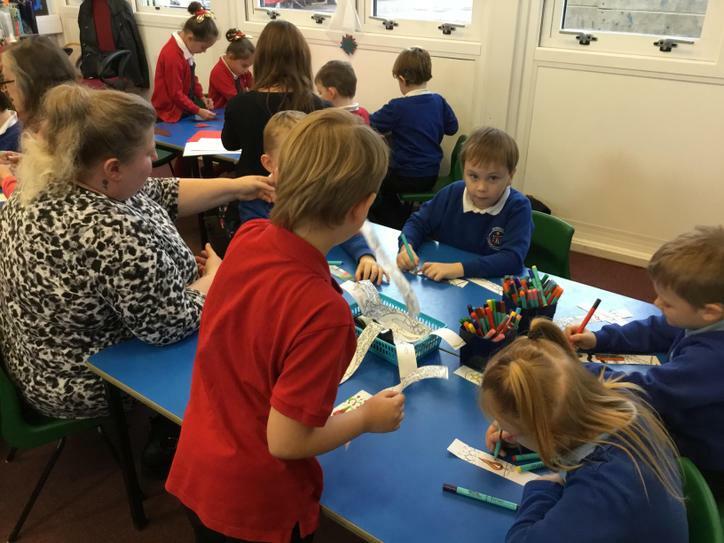 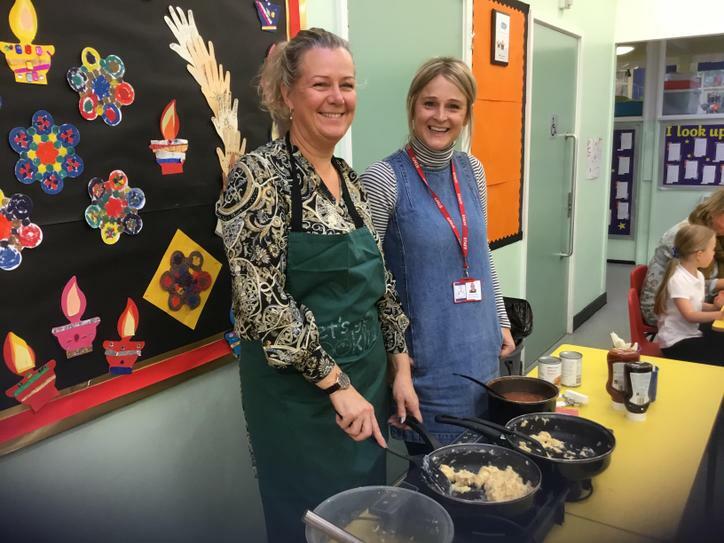 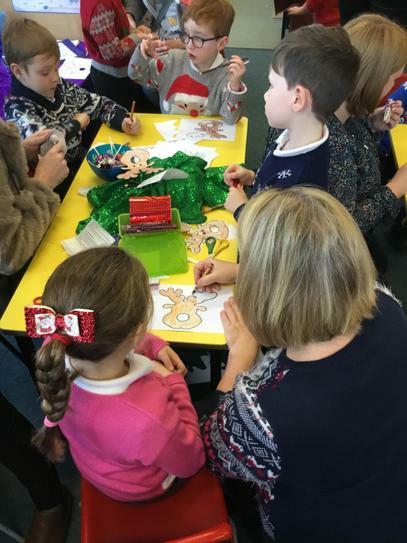 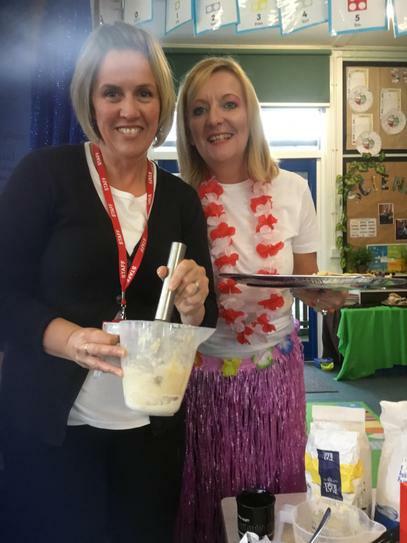 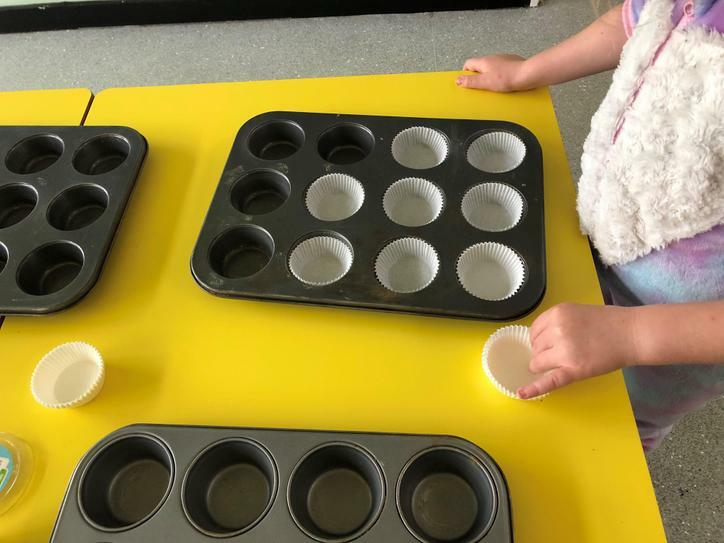 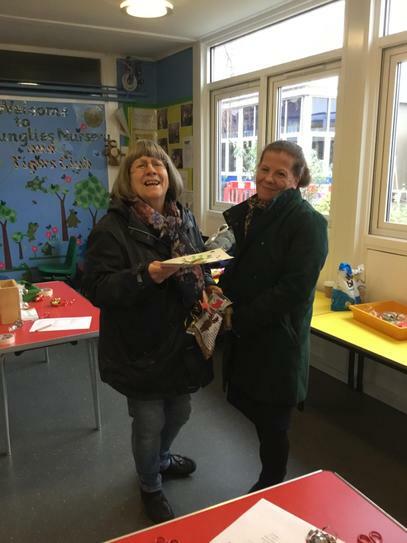 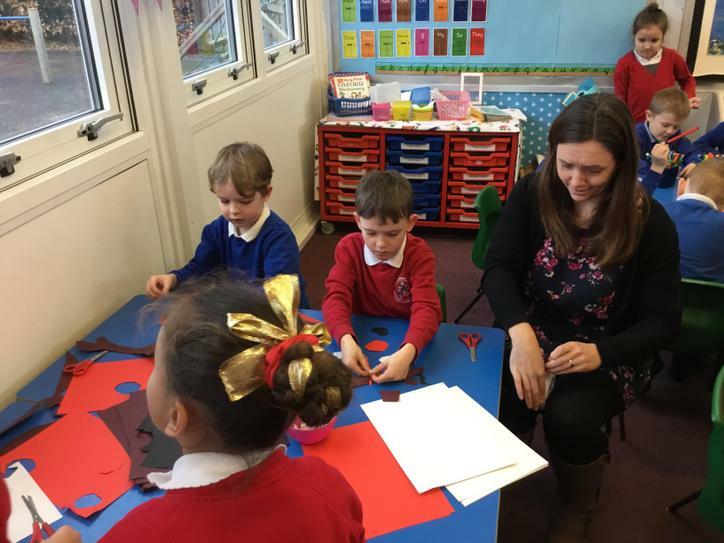 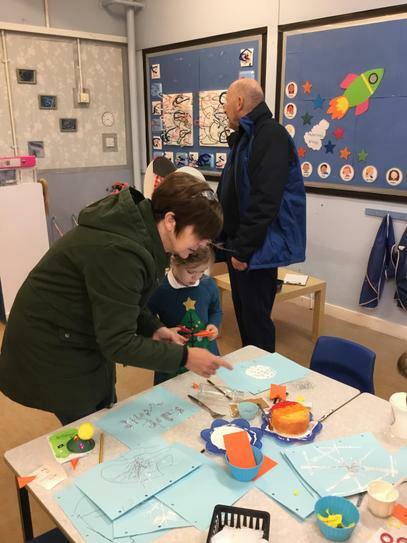 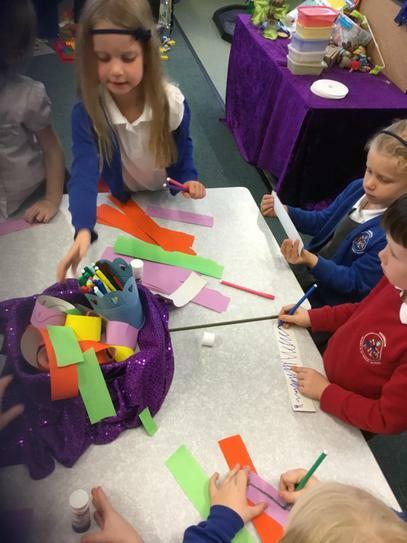 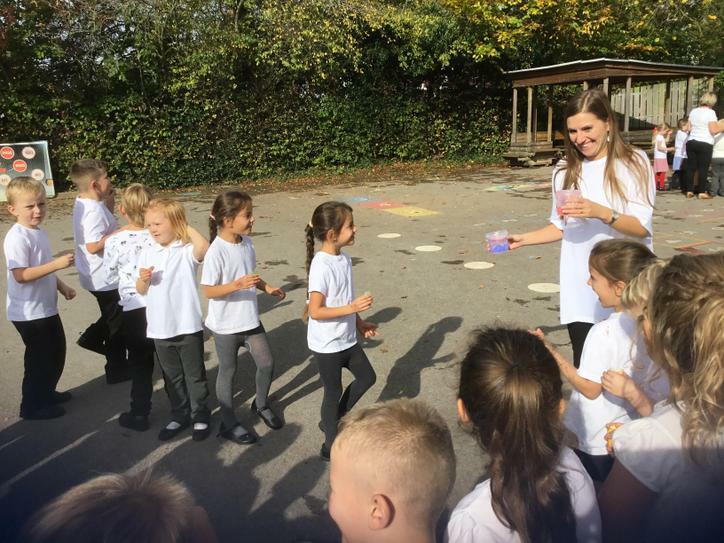 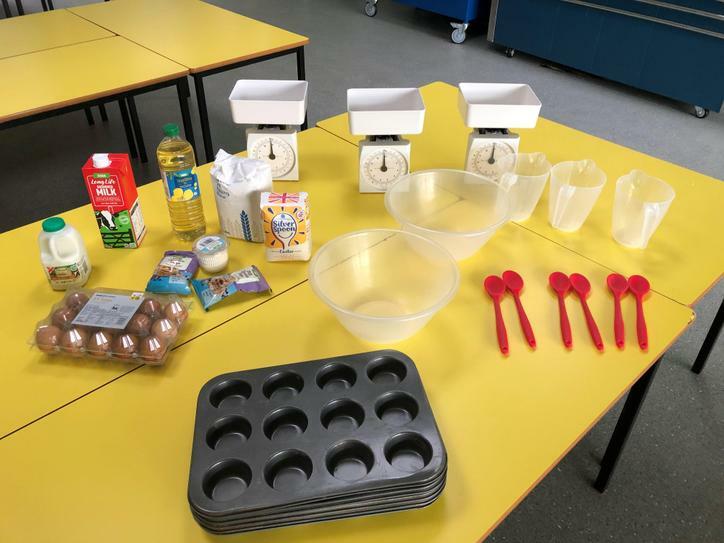 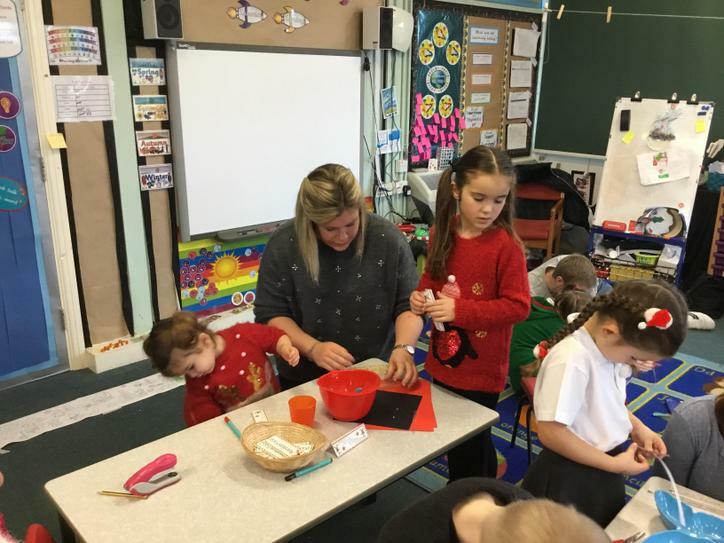 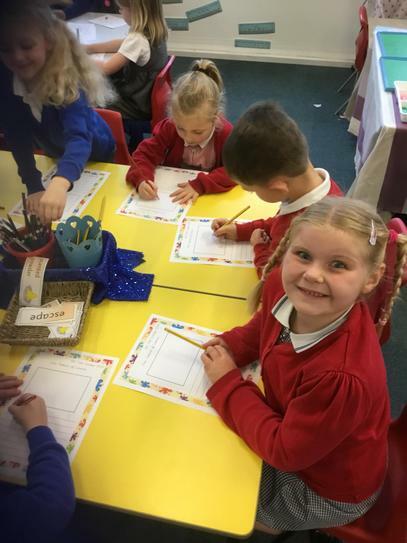 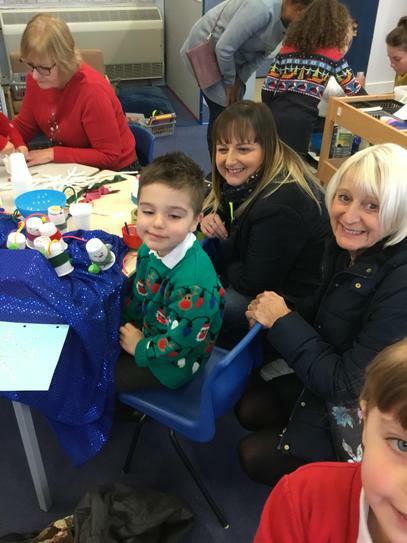 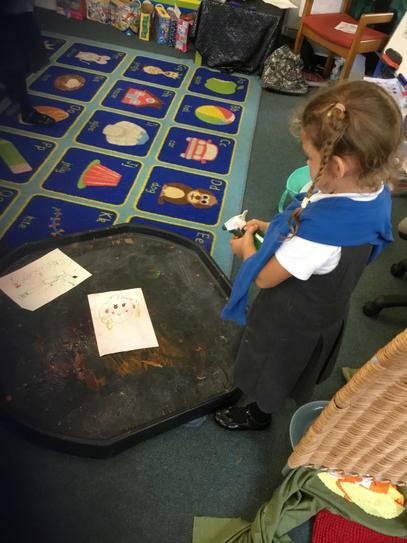 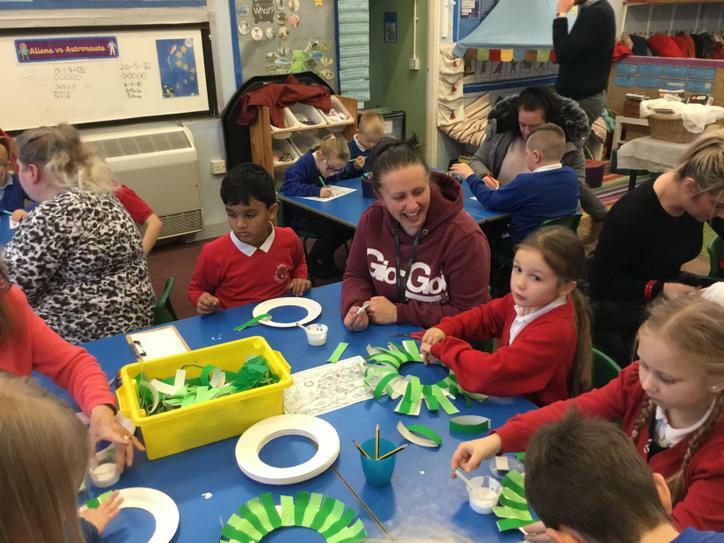 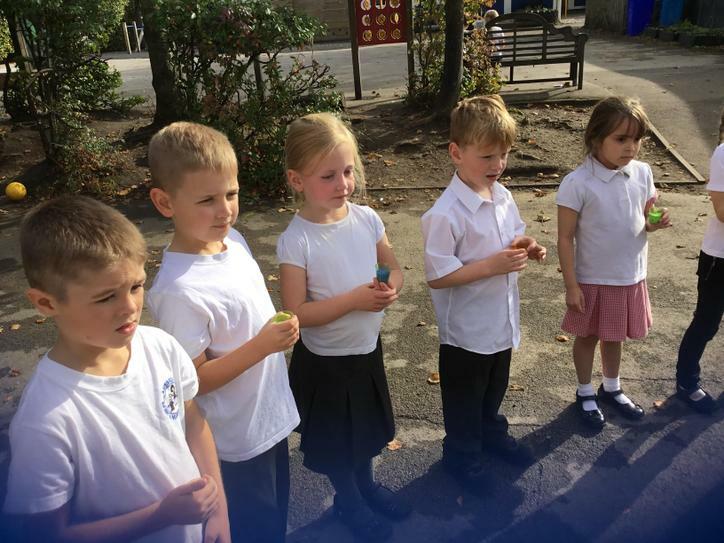 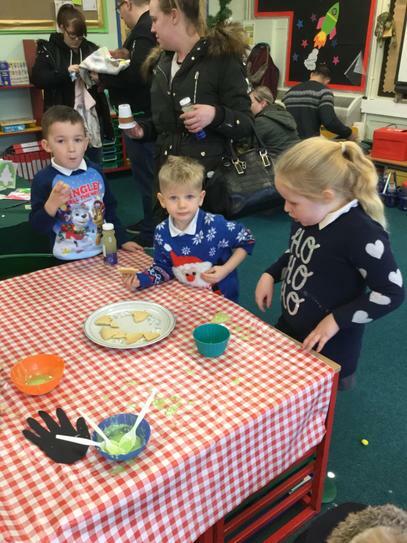 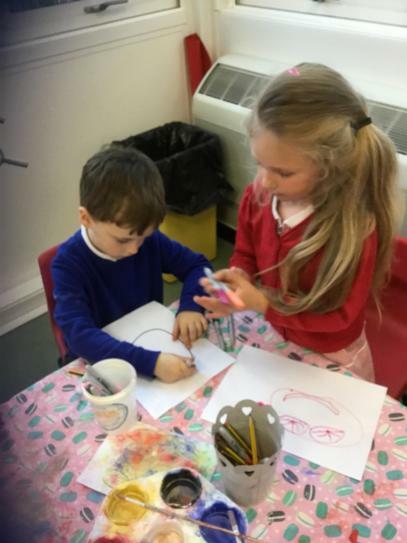 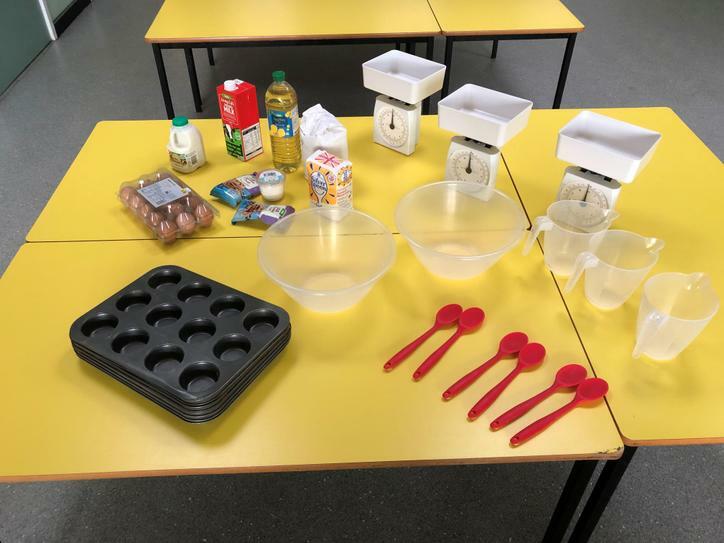 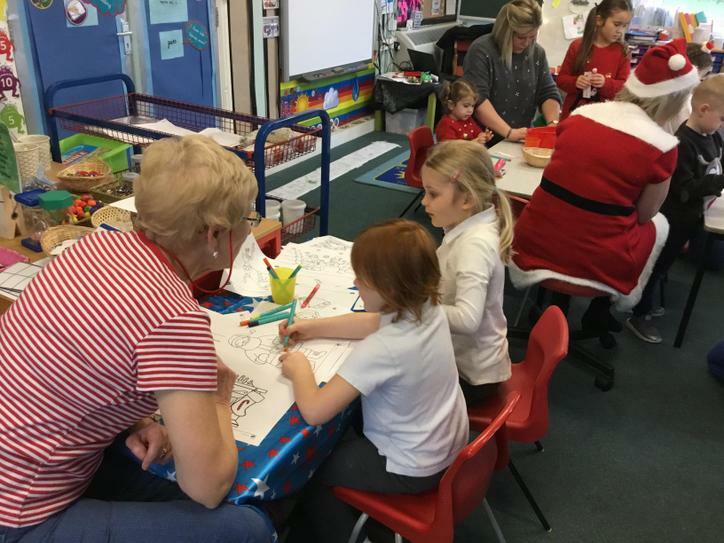 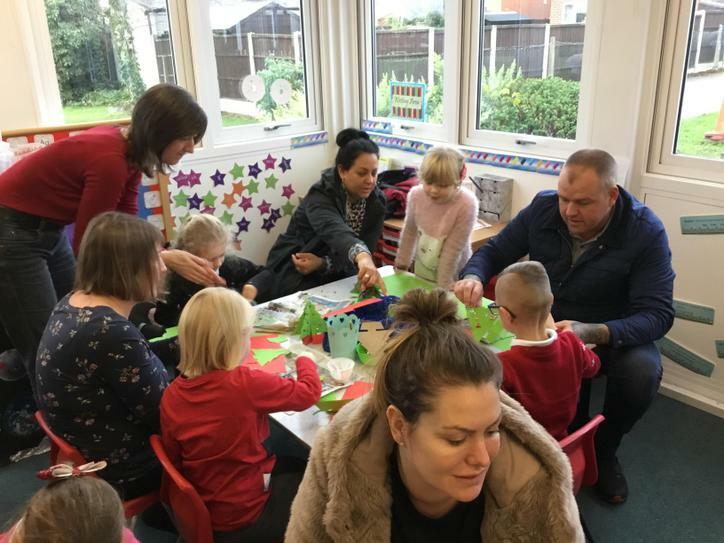 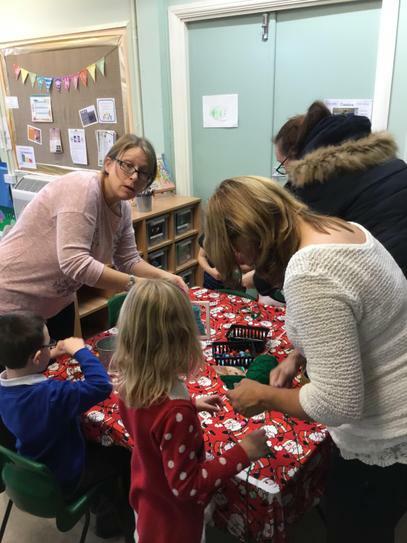 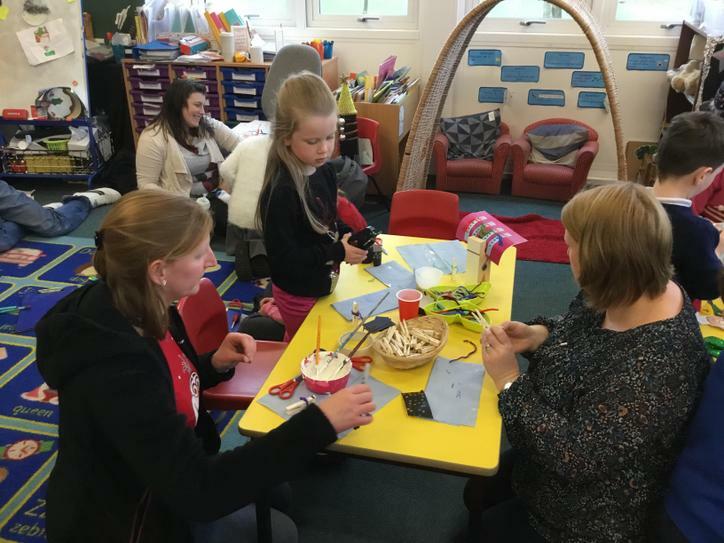 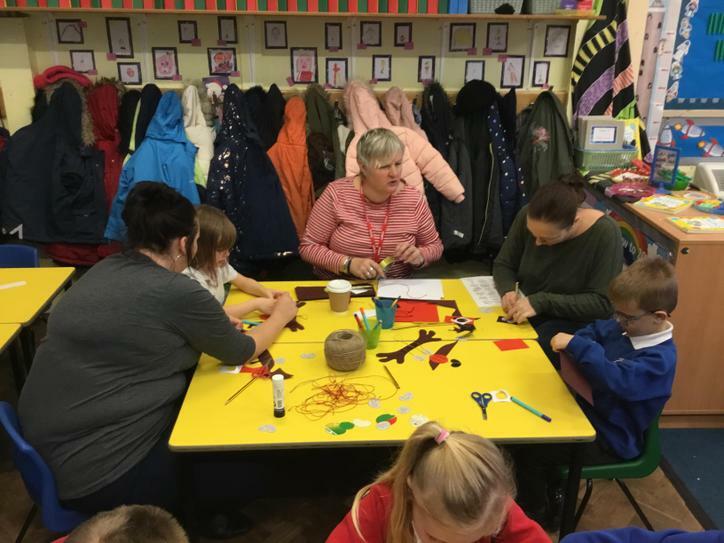 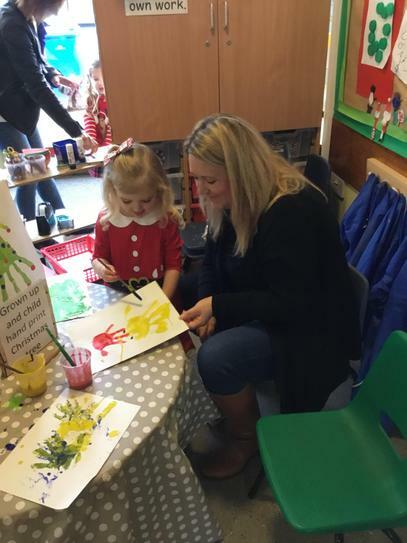 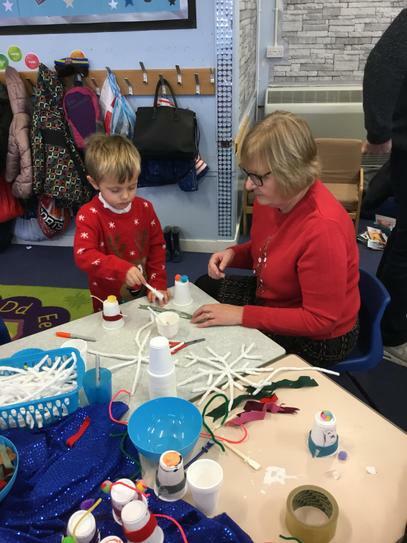 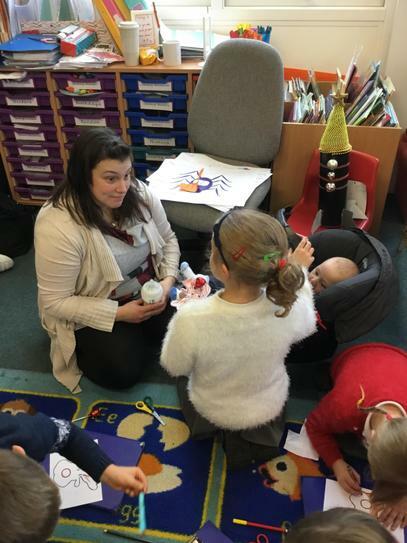 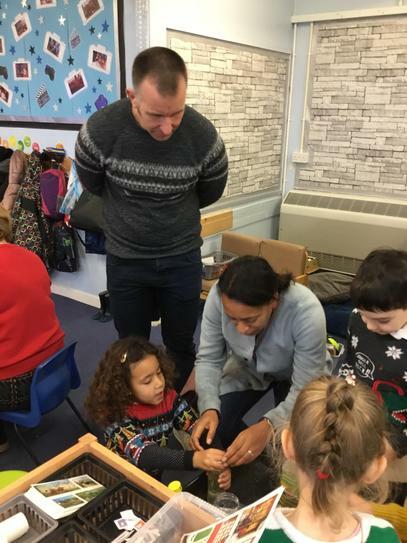 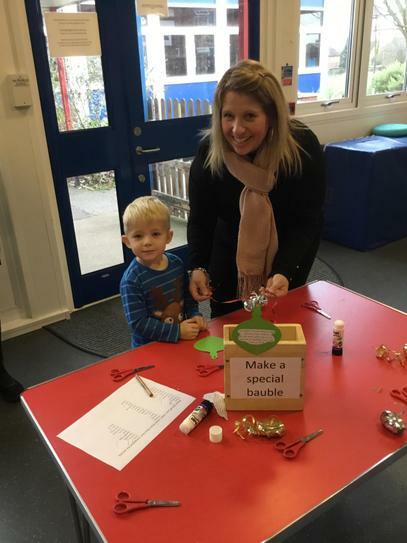 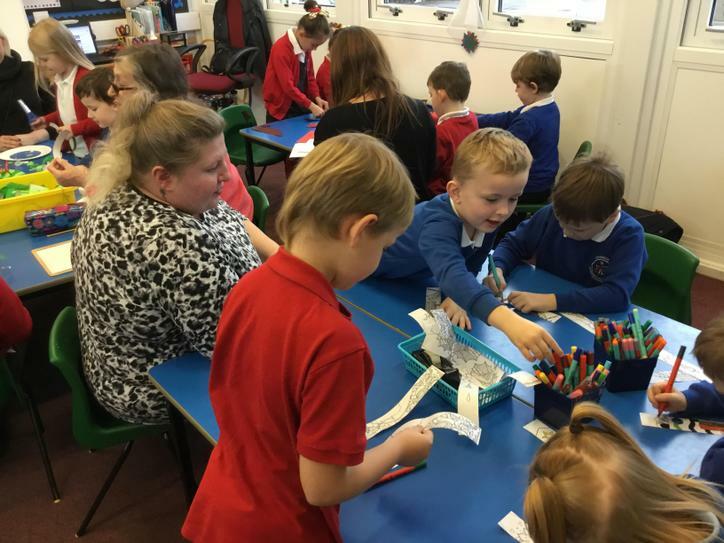 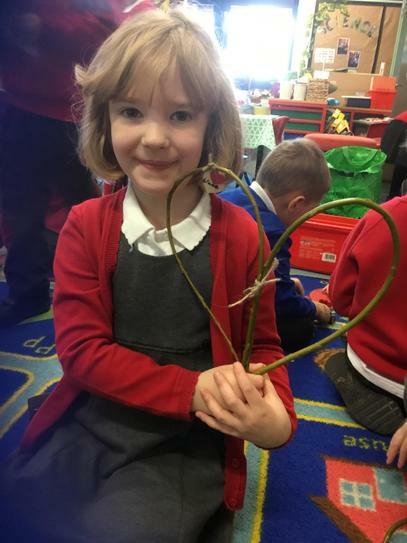 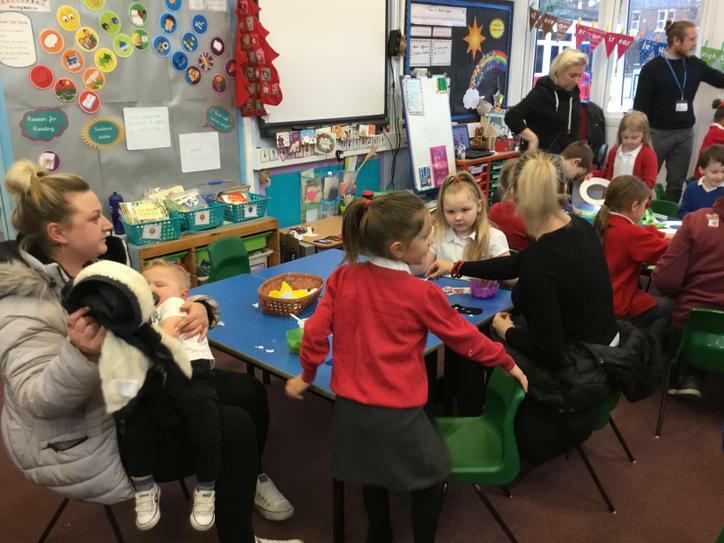 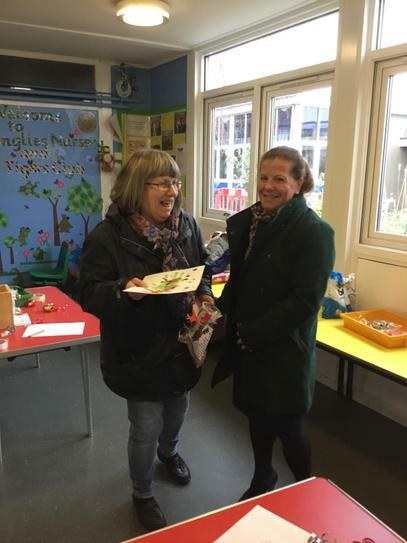 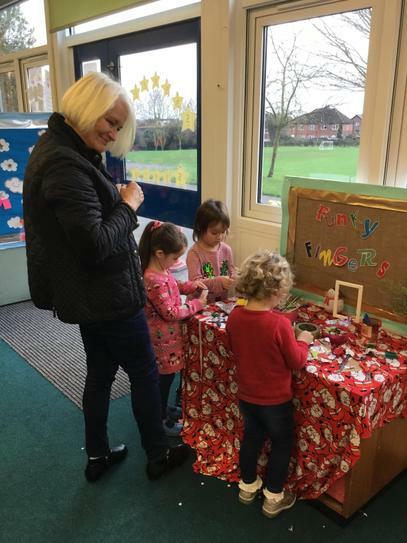 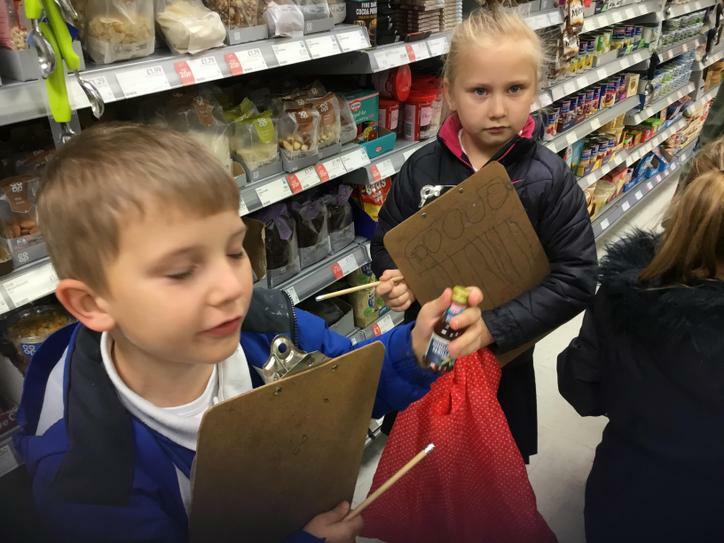 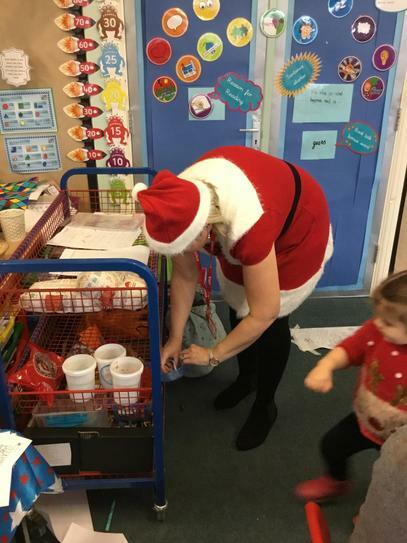 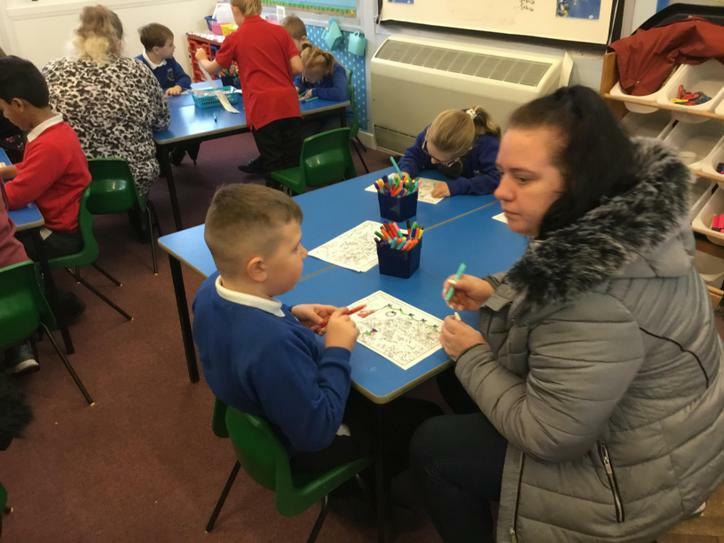 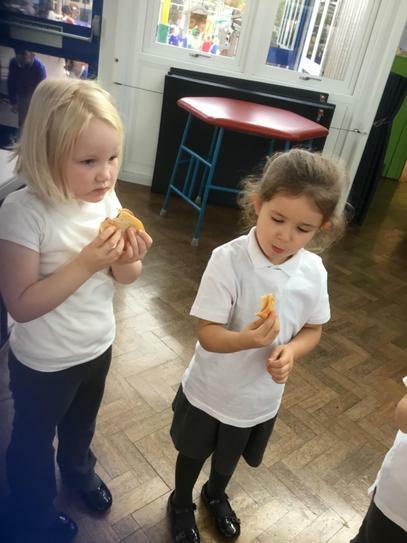 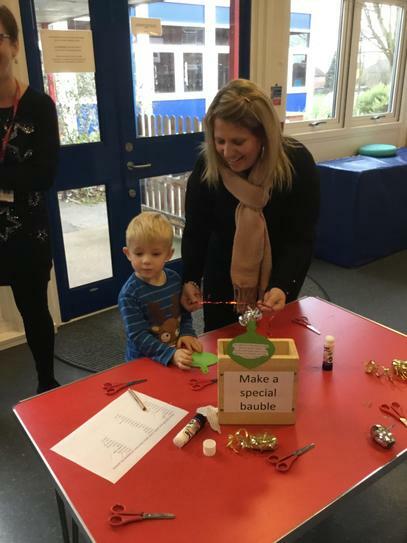 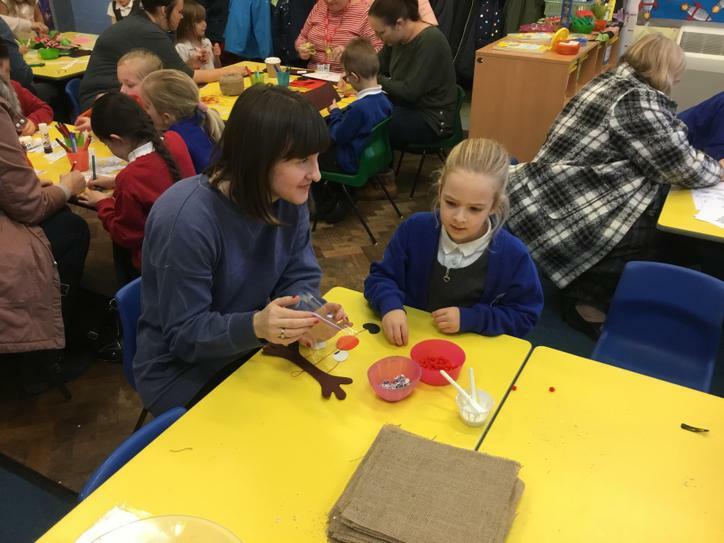 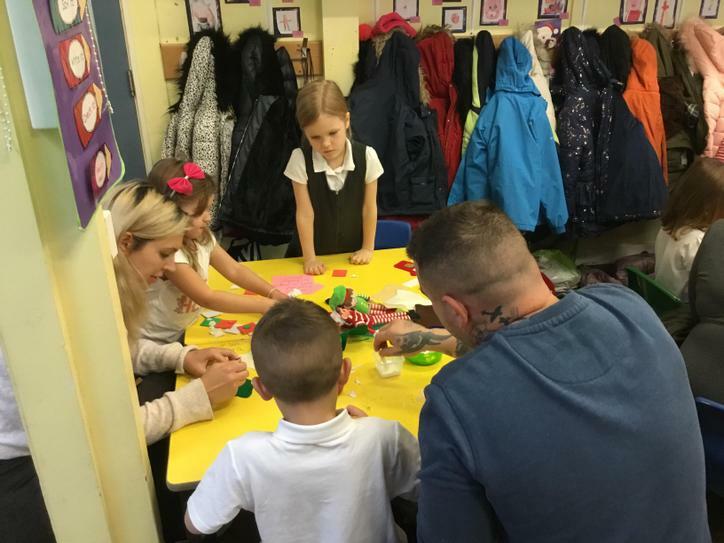 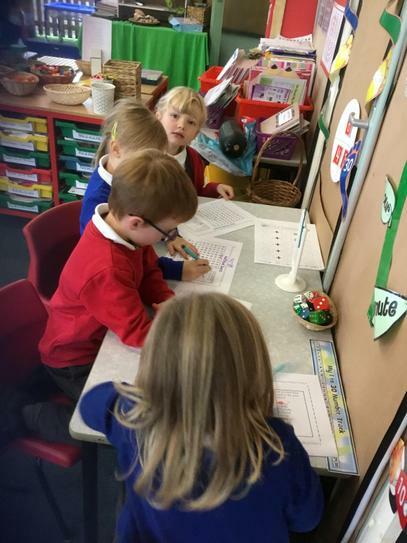 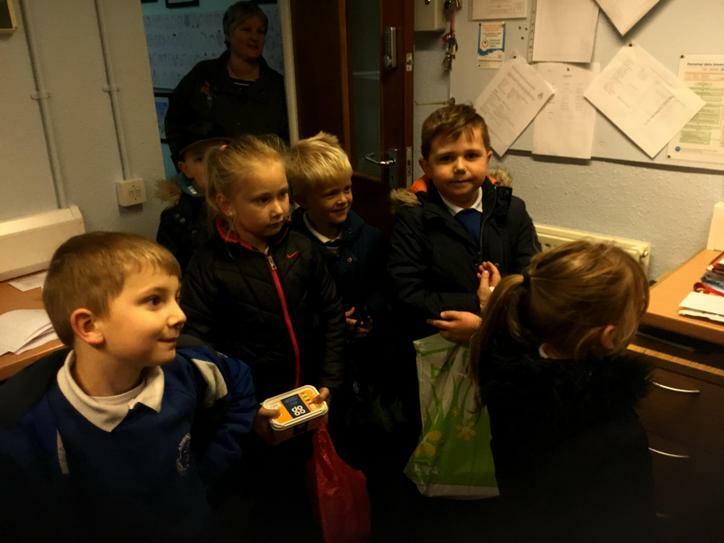 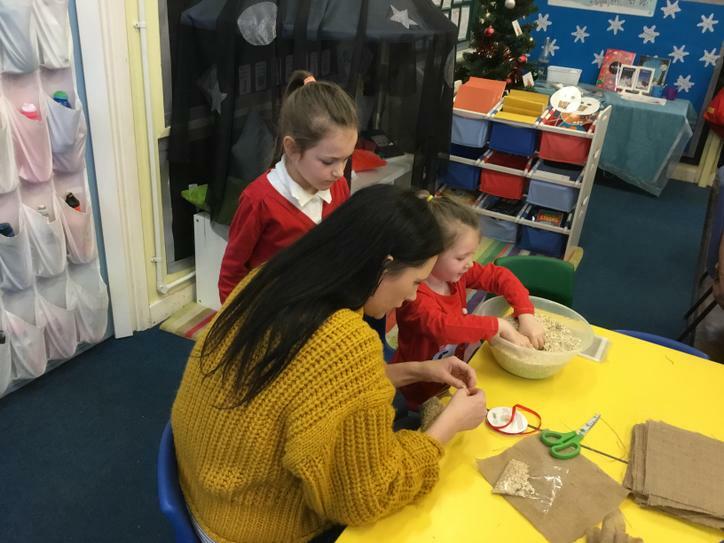 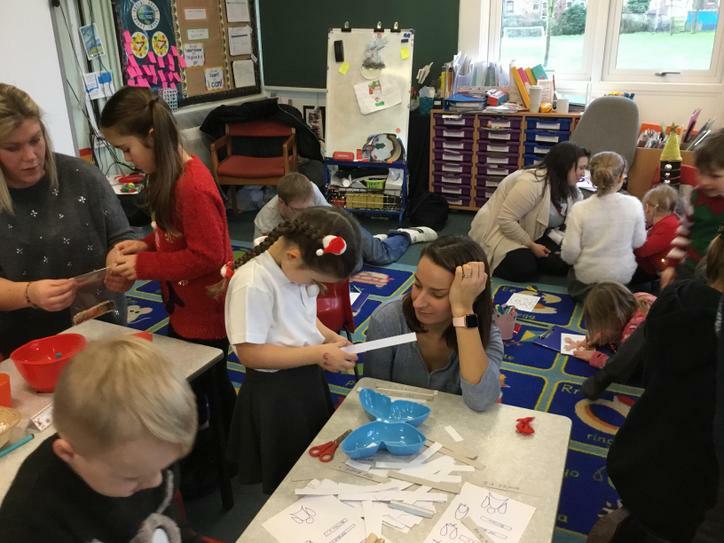 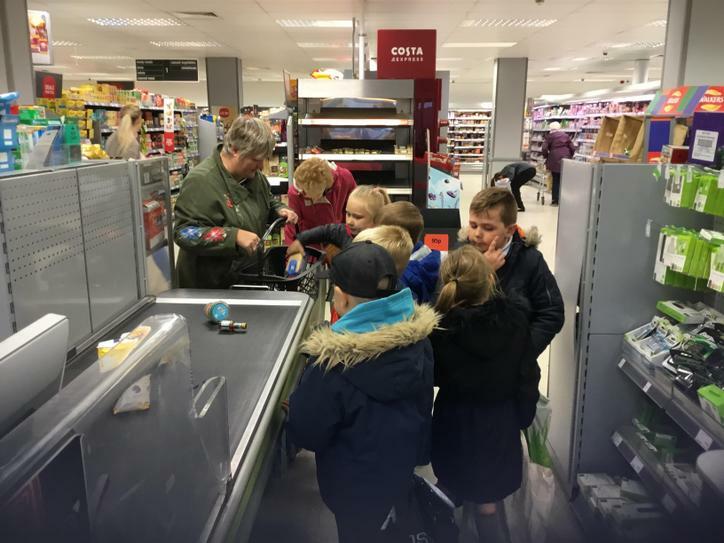 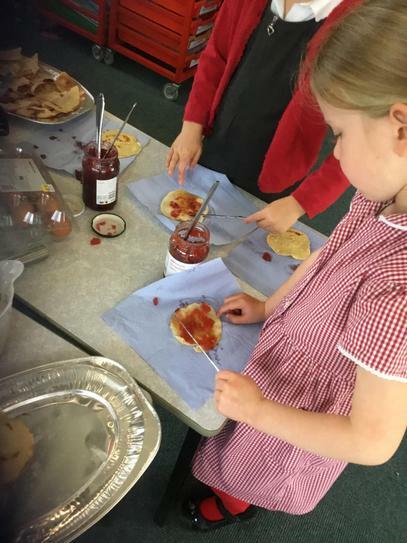 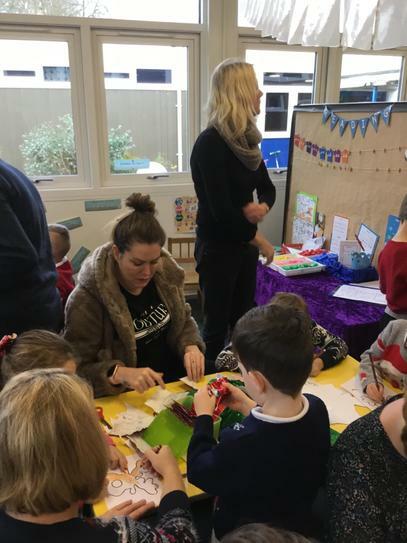 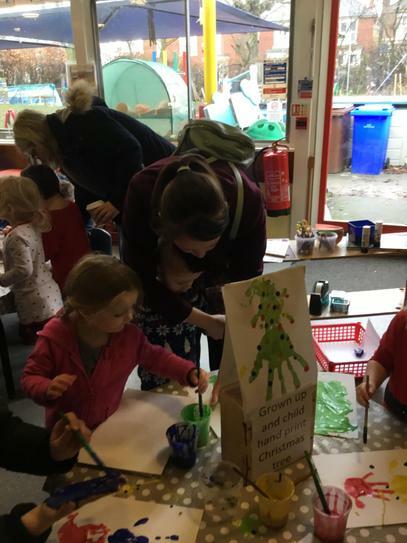 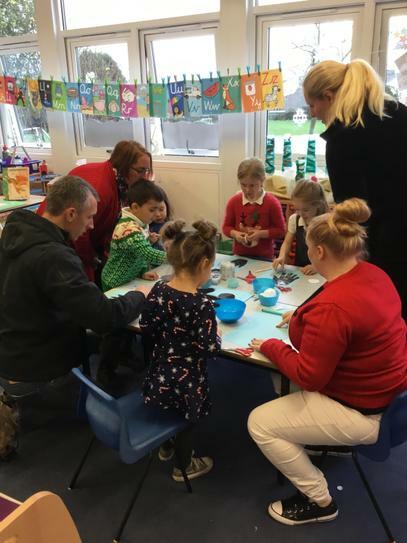 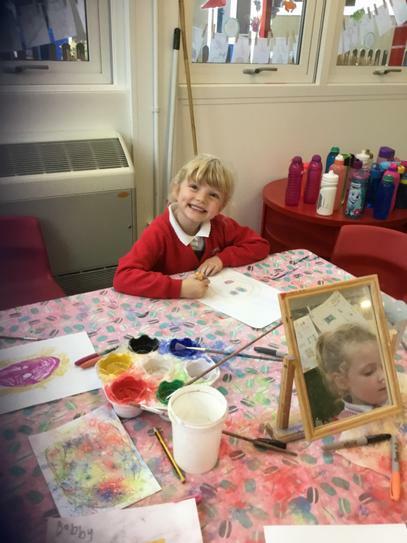 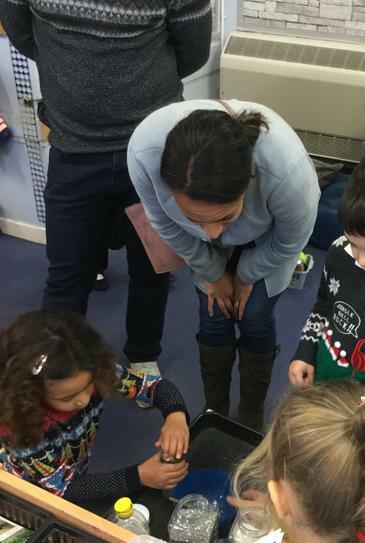 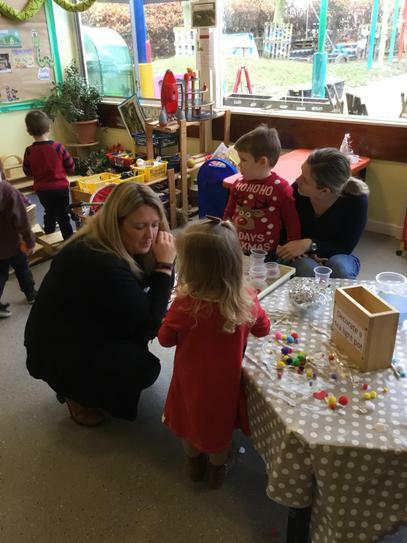 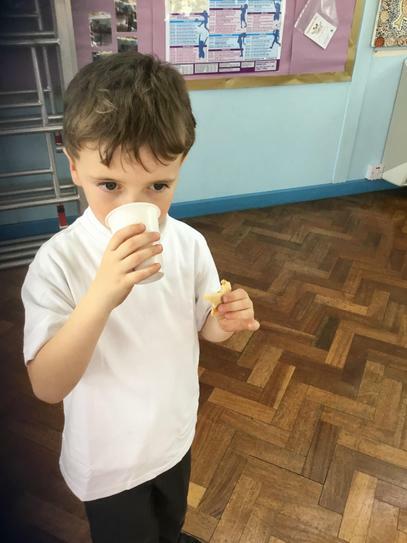 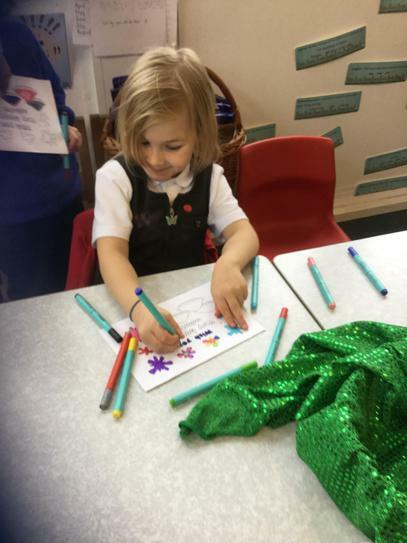 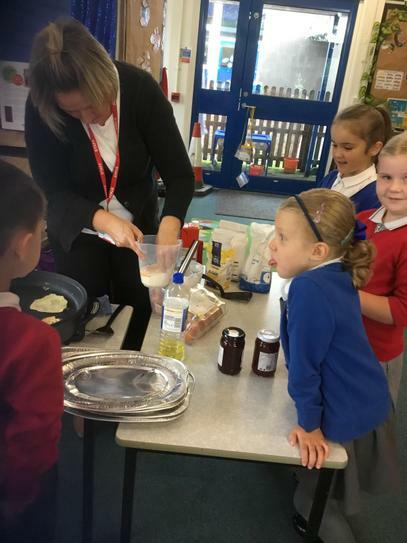 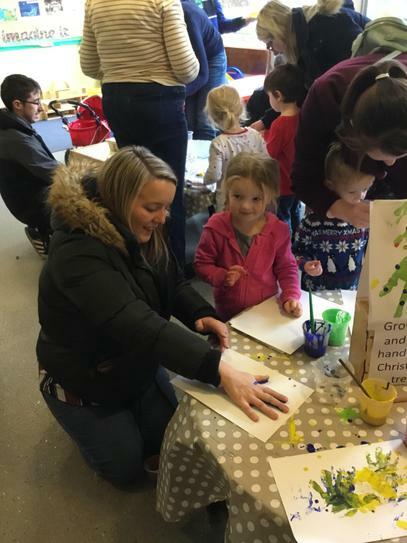 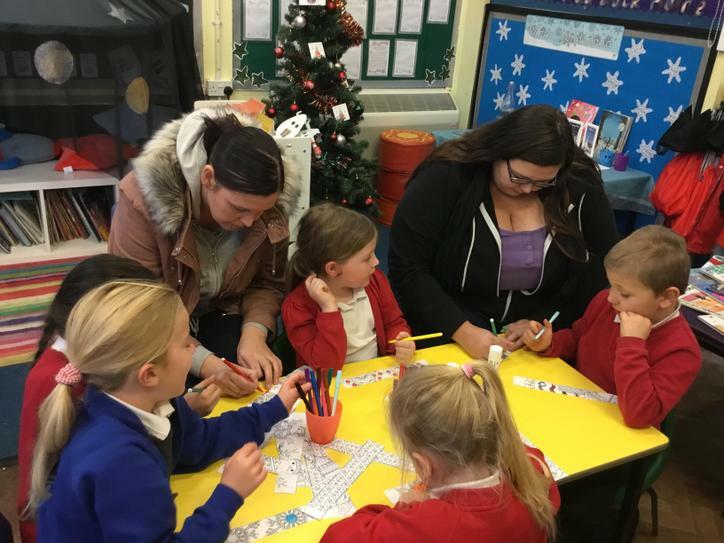 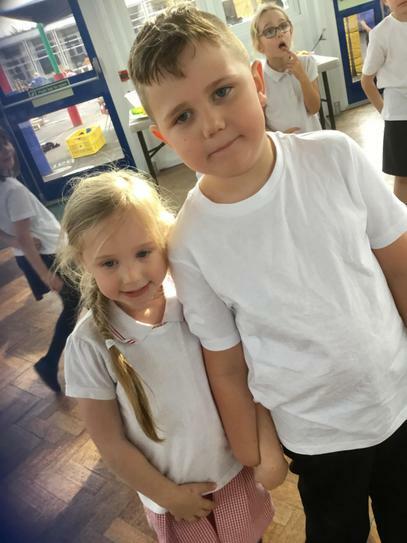 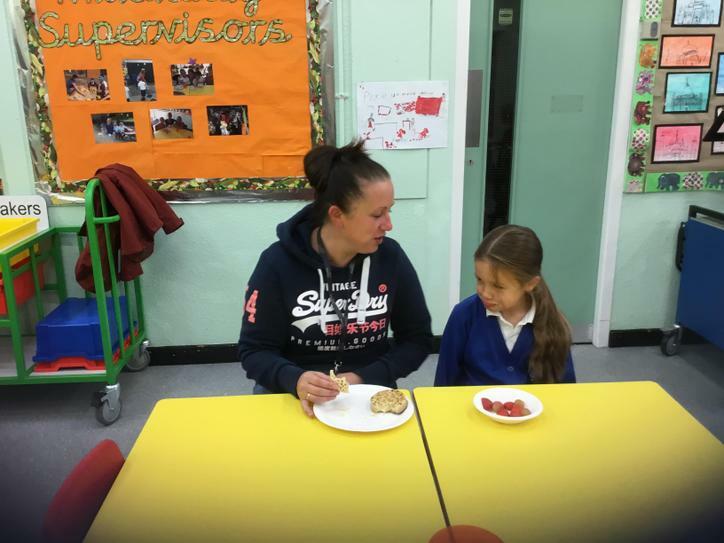 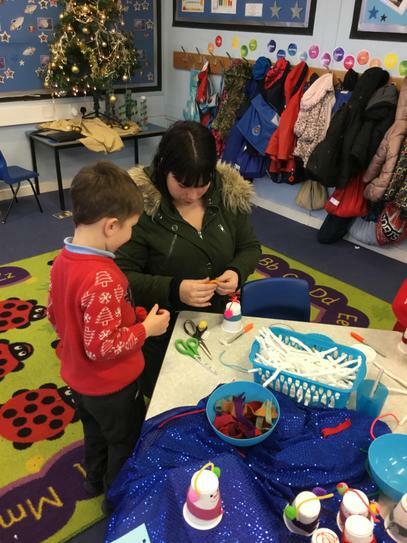 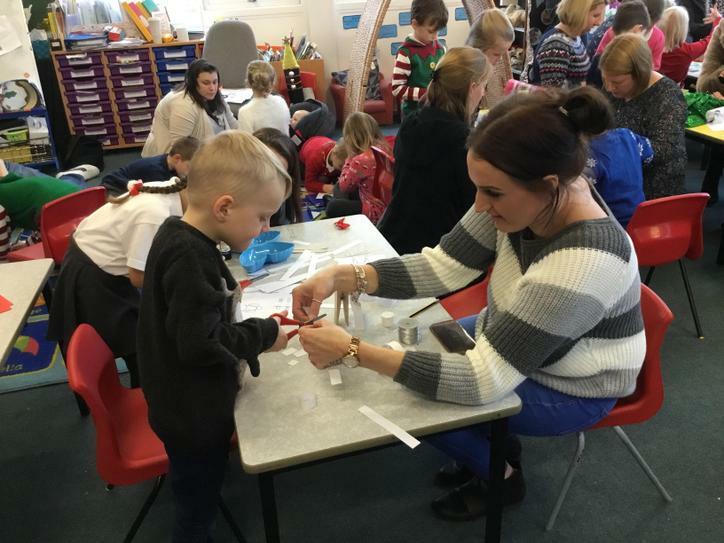 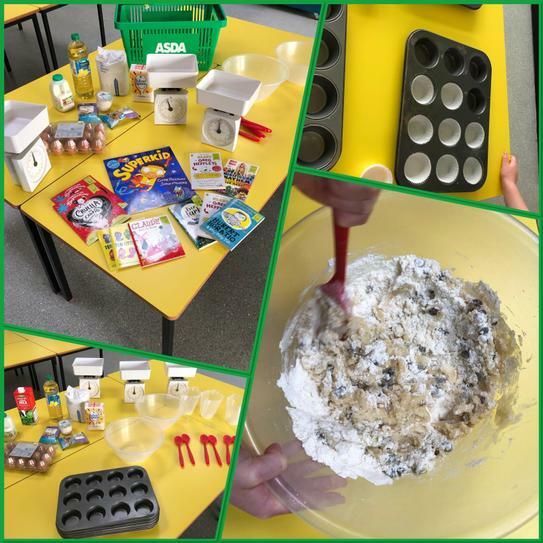 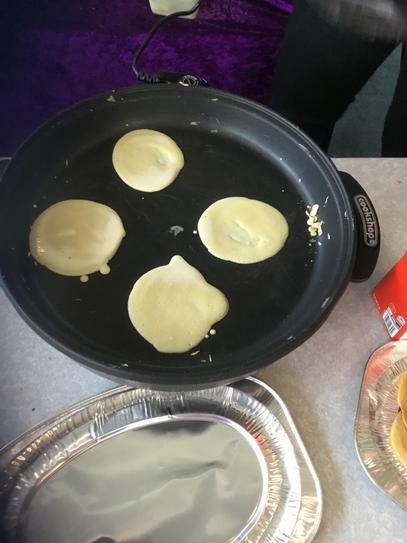 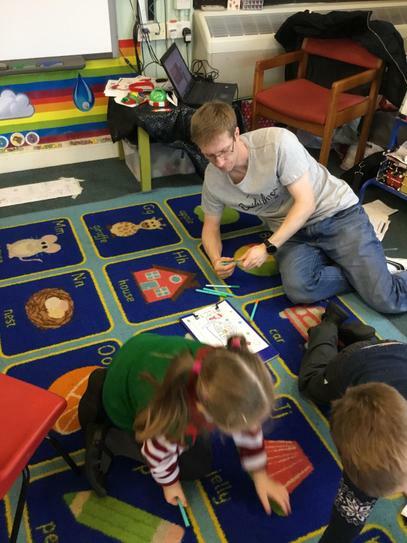 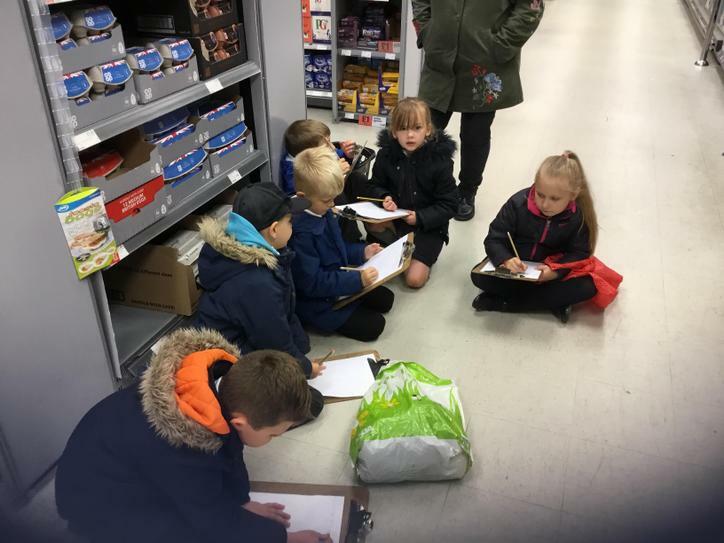 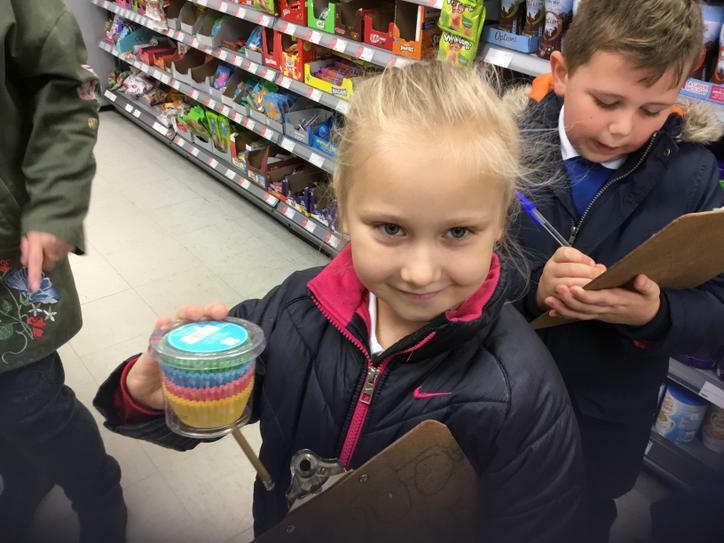 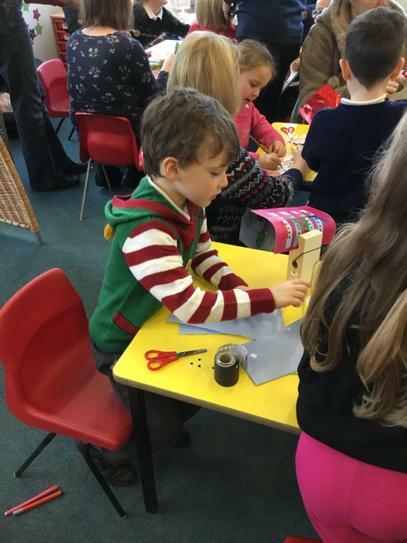 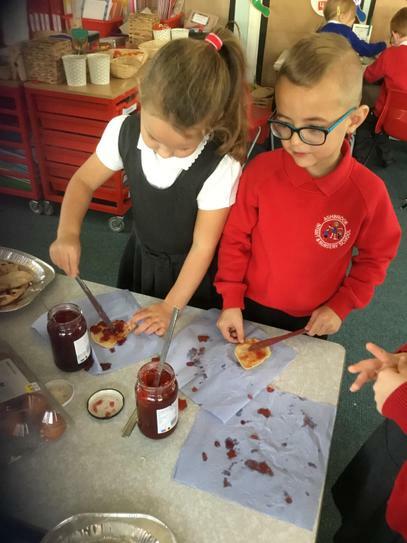 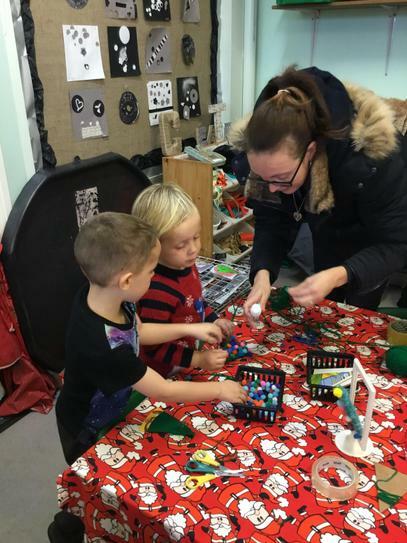 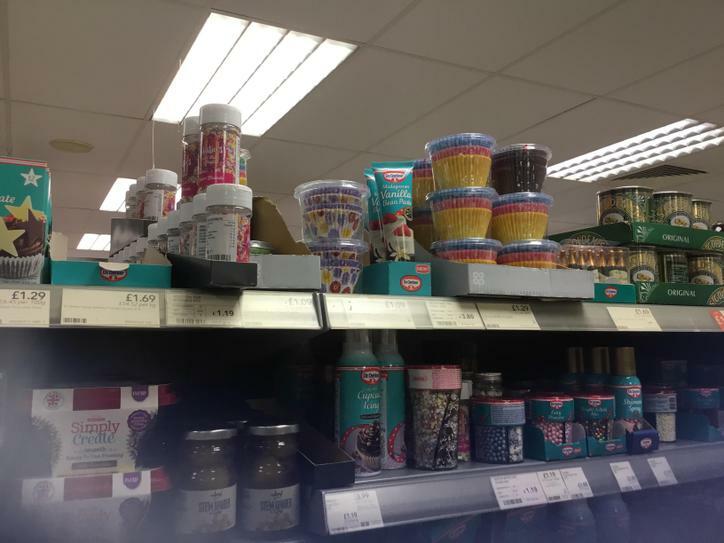 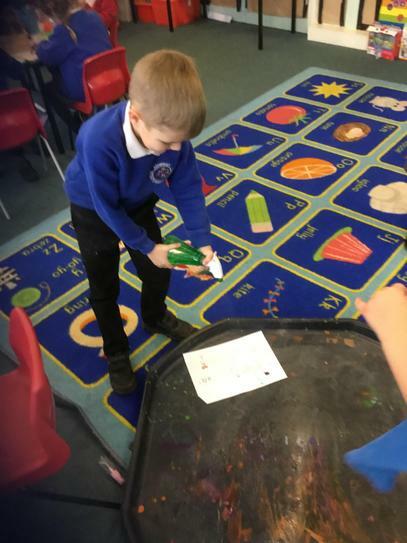 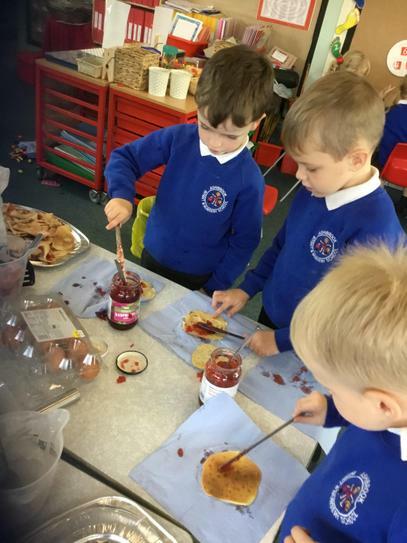 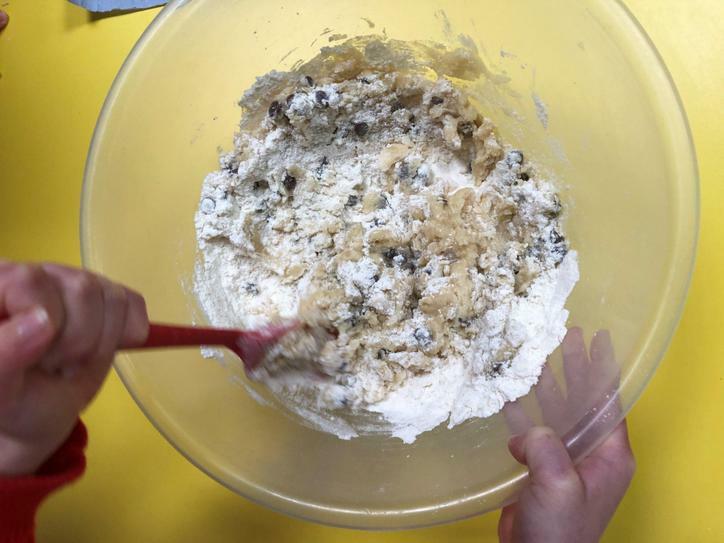 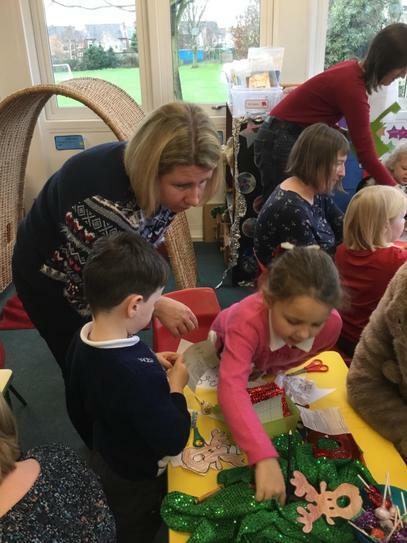 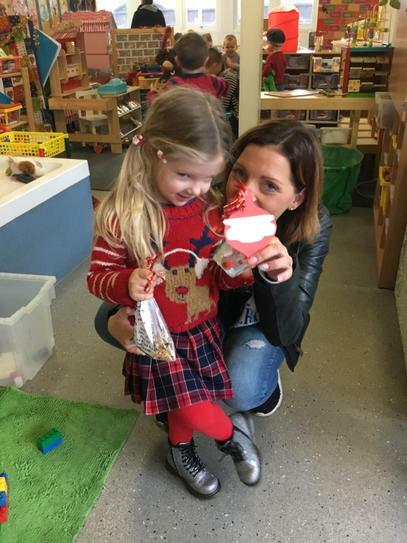 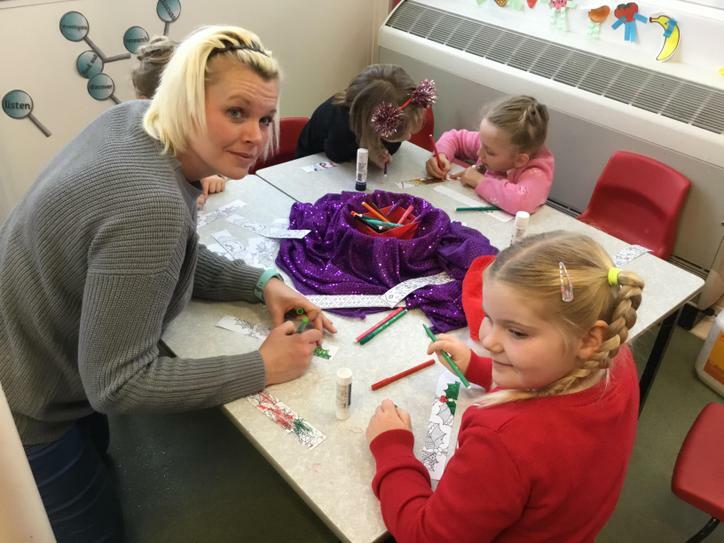 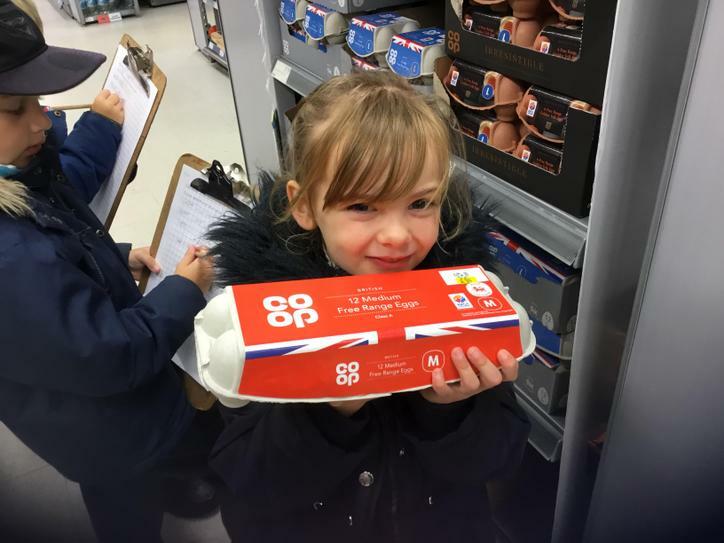 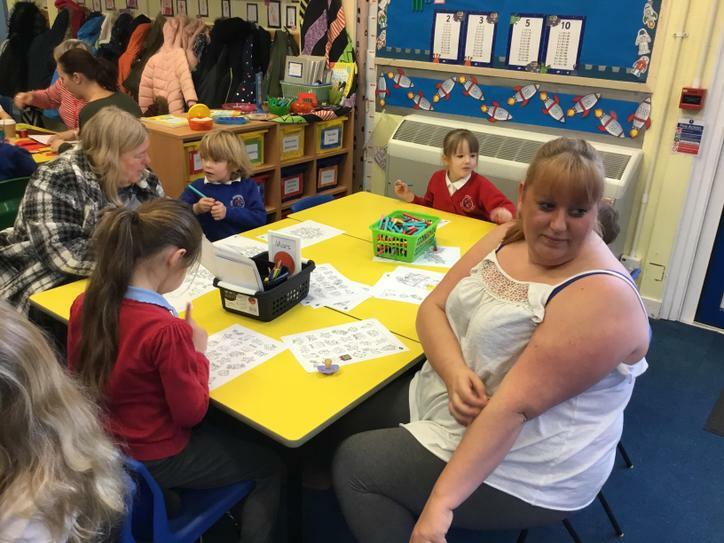 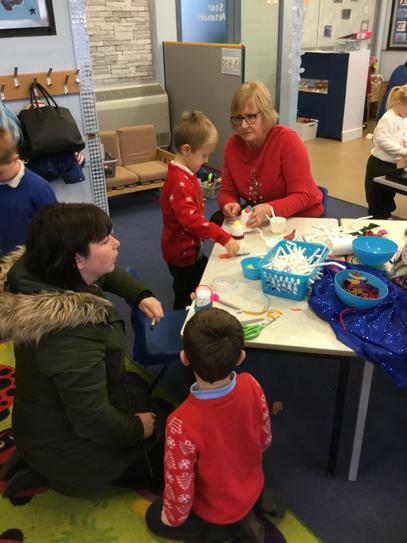 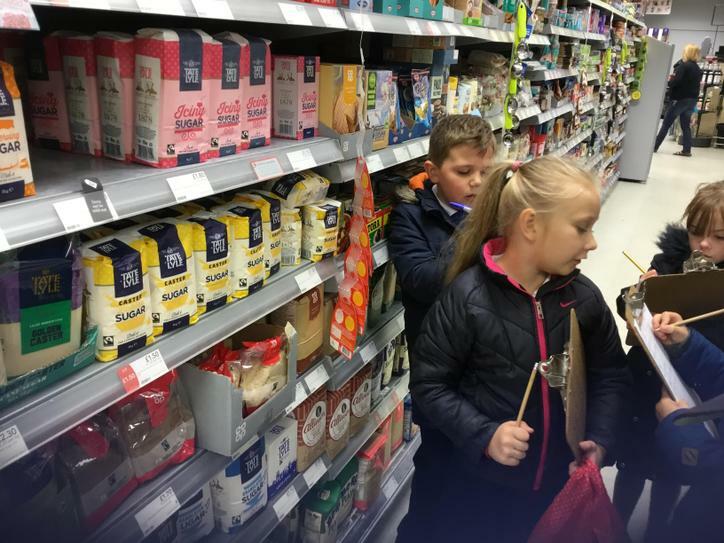 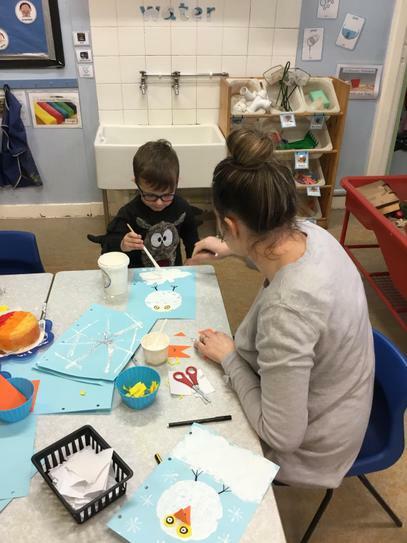 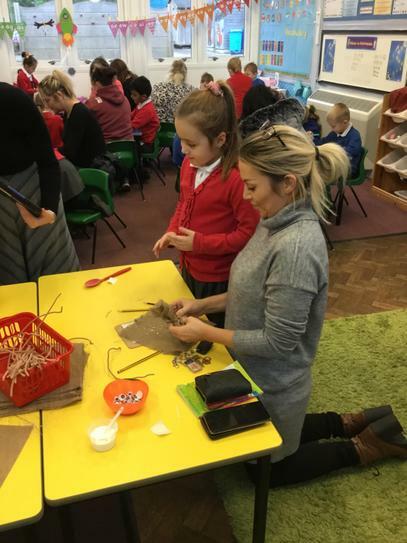 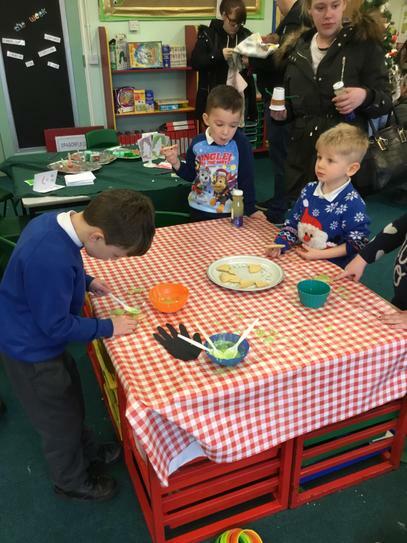 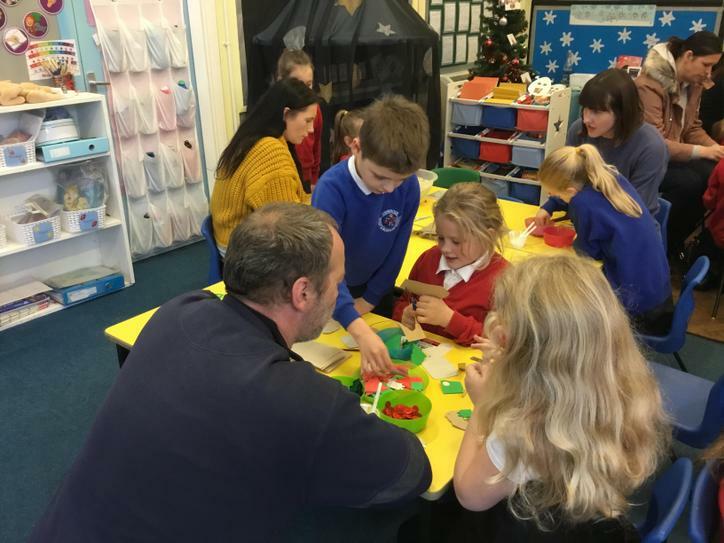 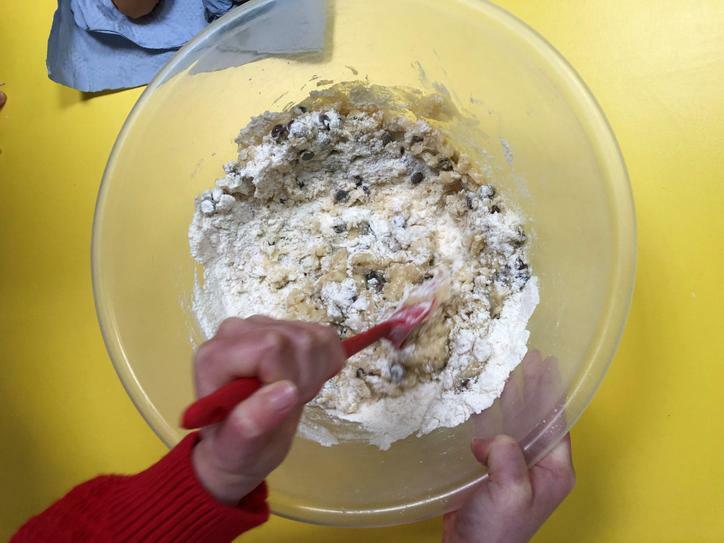 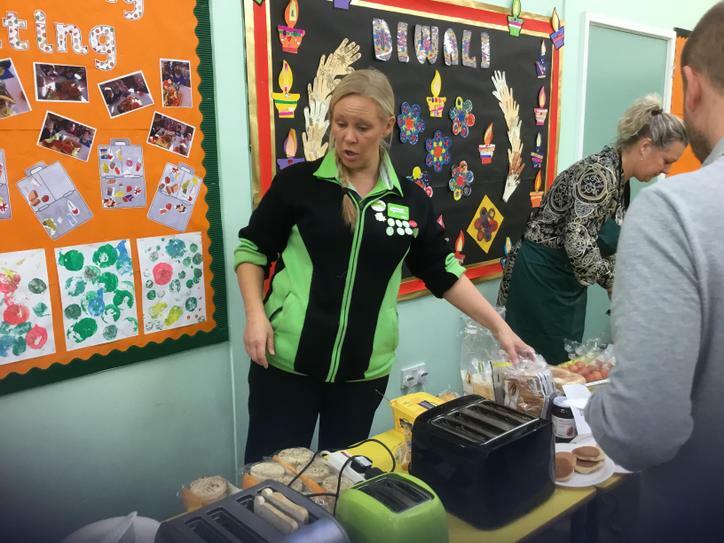 She also supported with chocolate muffin making in Rockets Class - Thank you Debbie, the children love your visits! 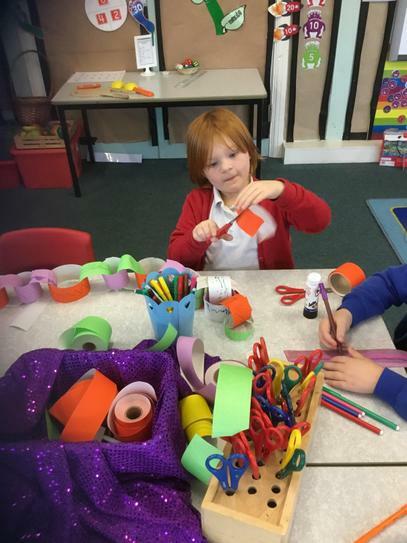 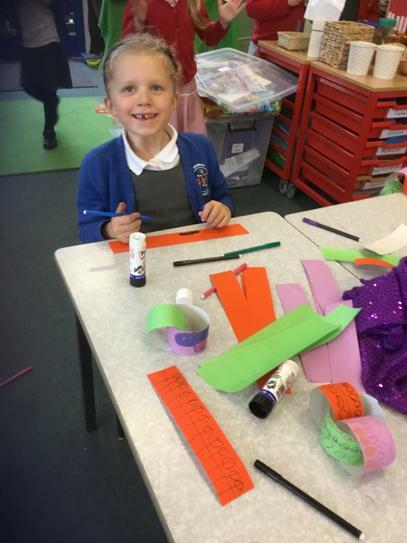 Caitlin is our Word Wizard in Rockets this week! 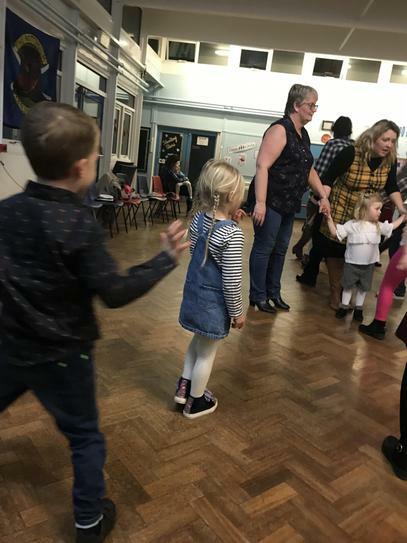 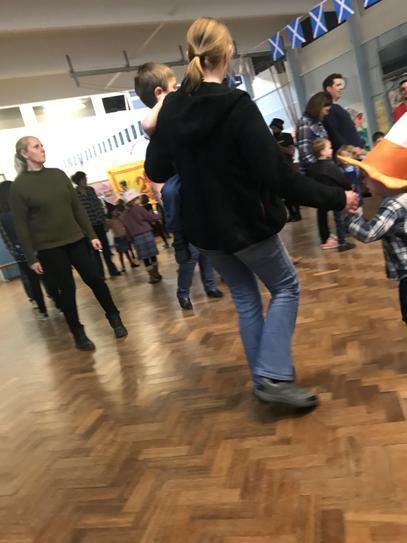 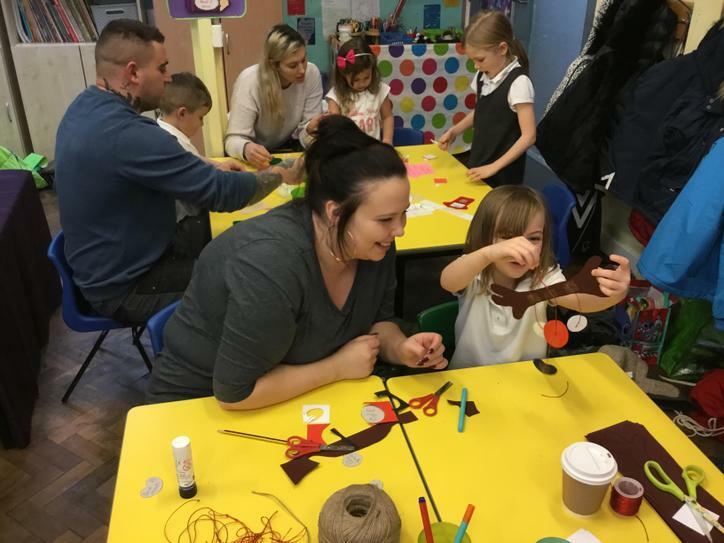 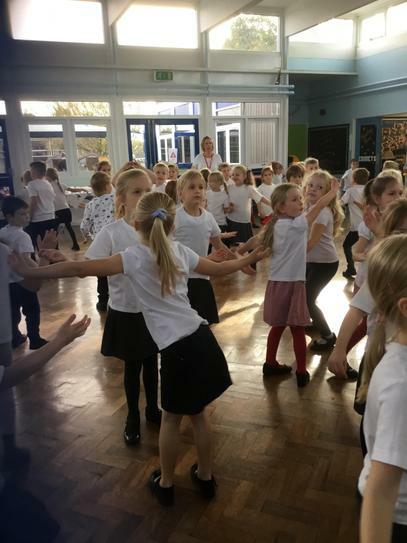 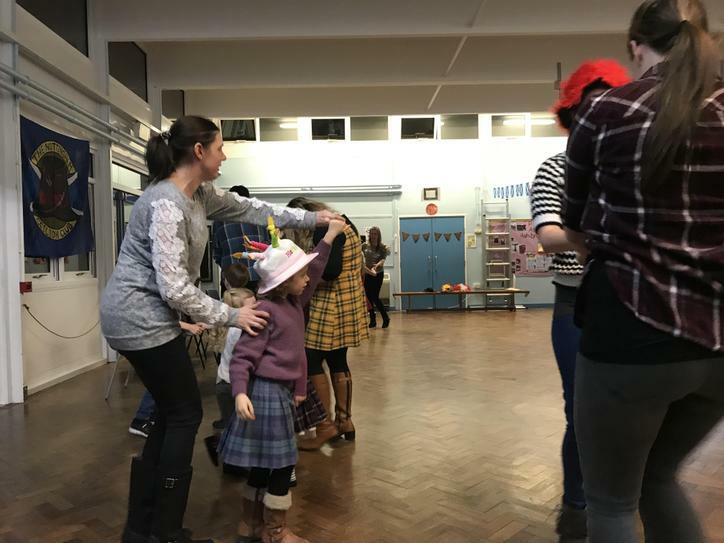 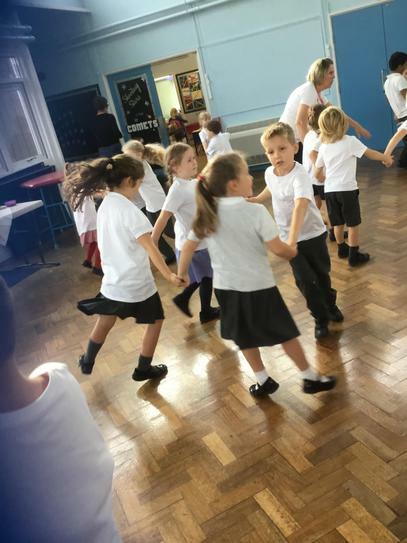 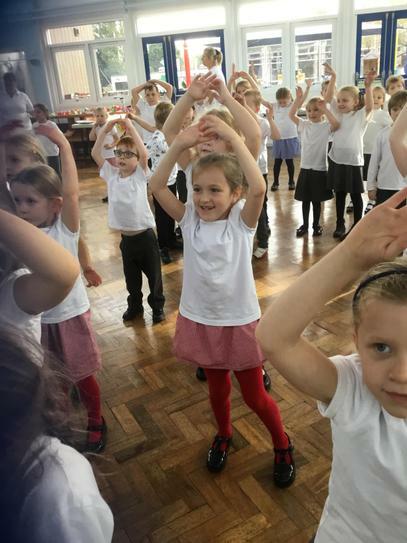 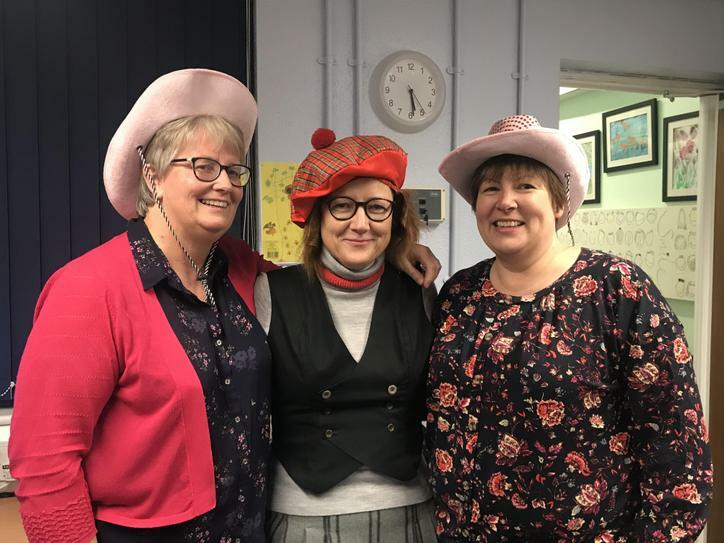 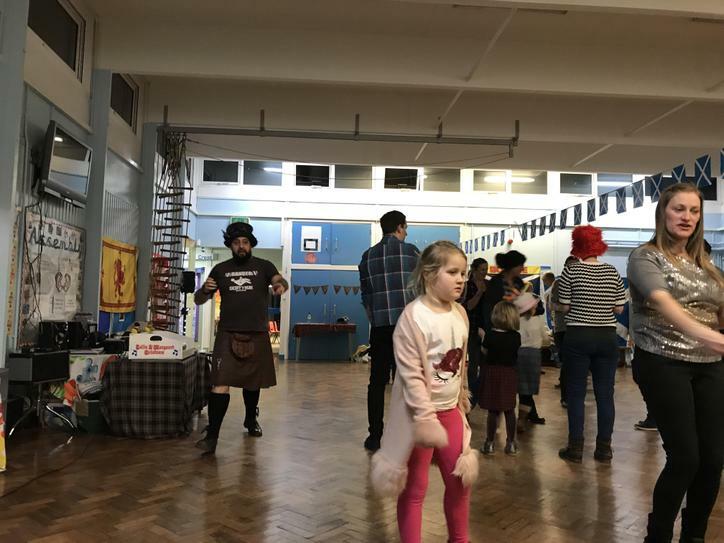 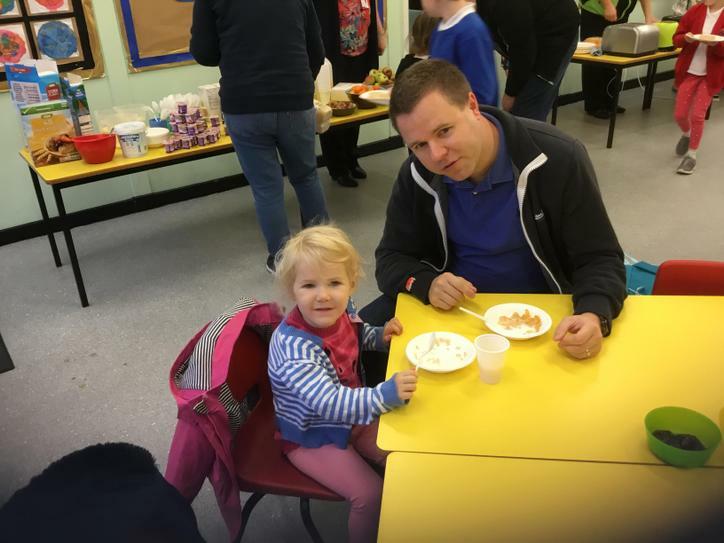 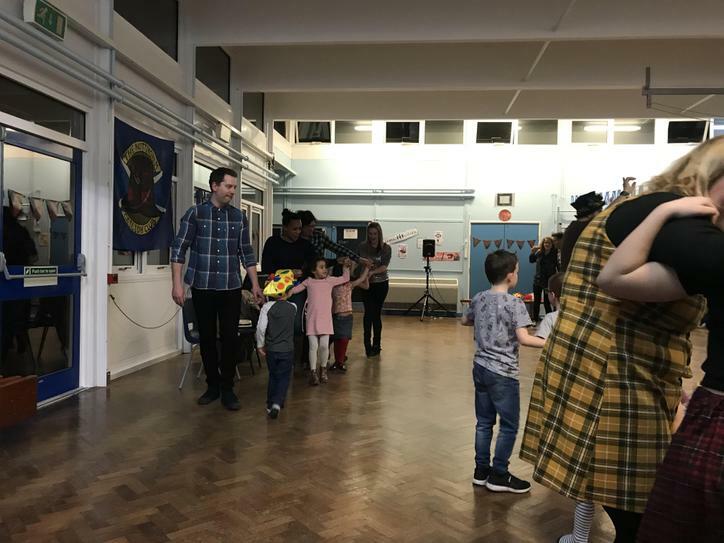 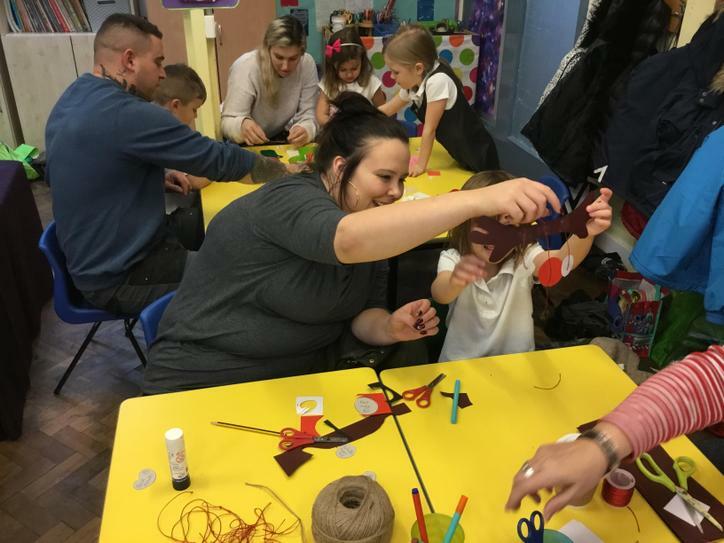 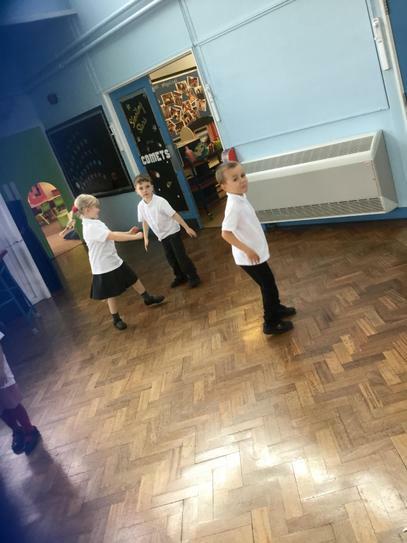 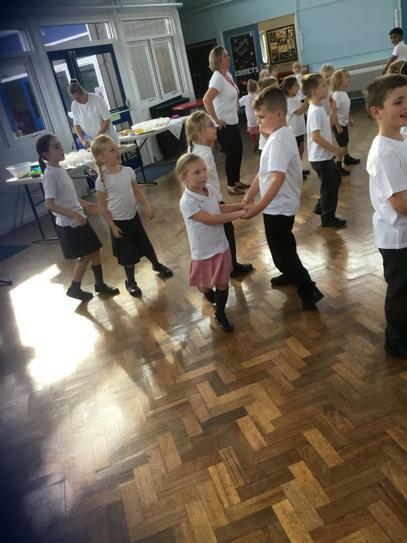 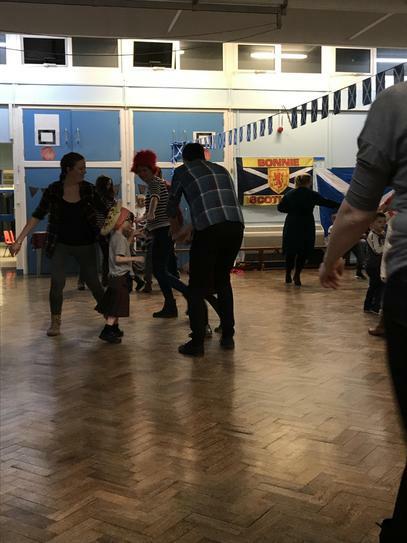 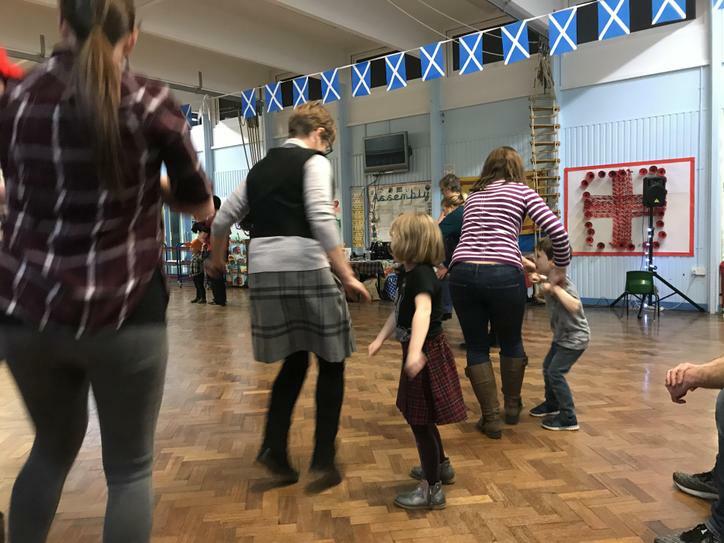 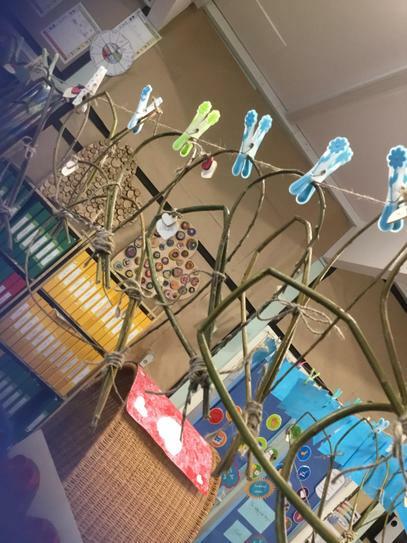 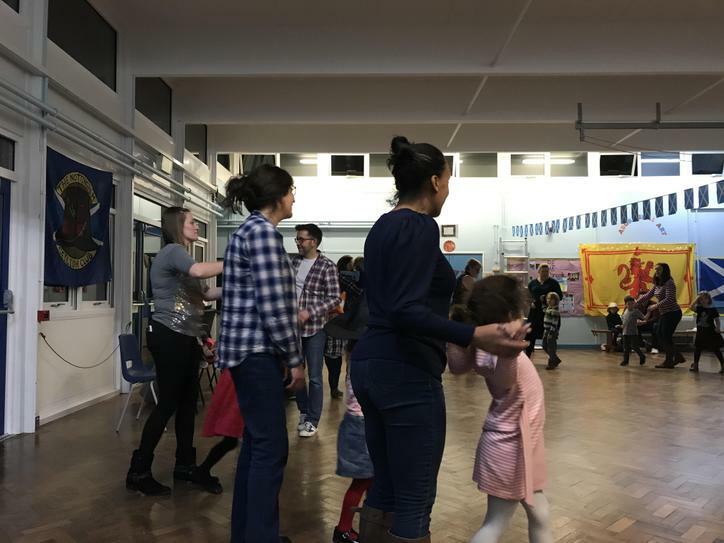 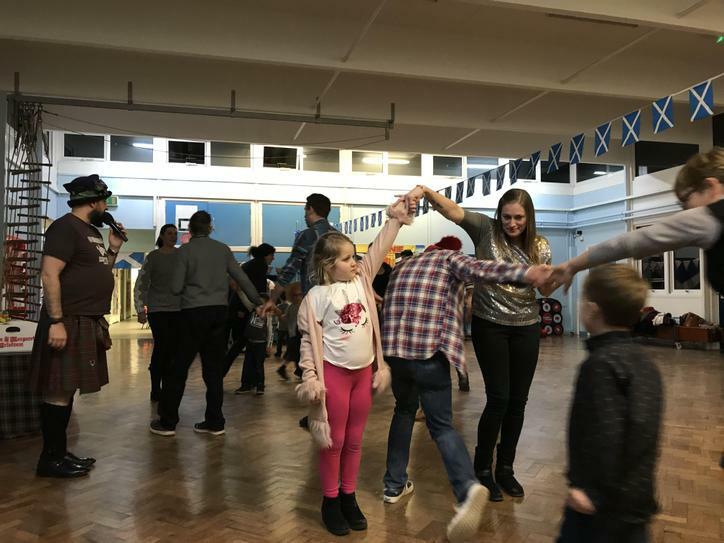 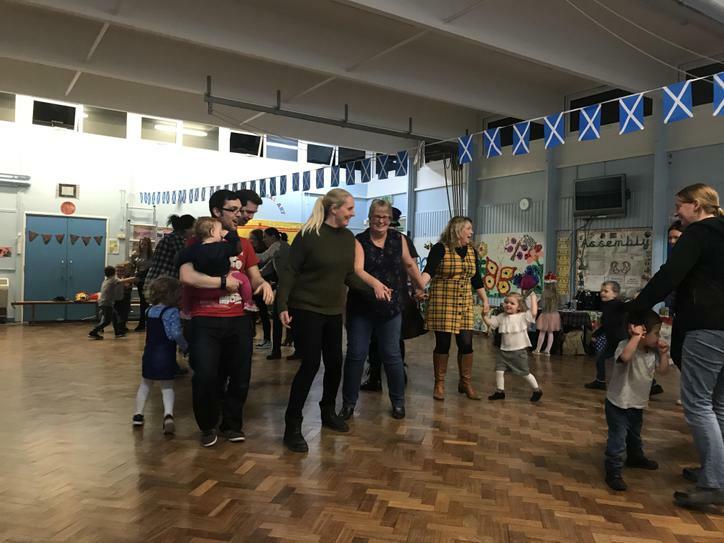 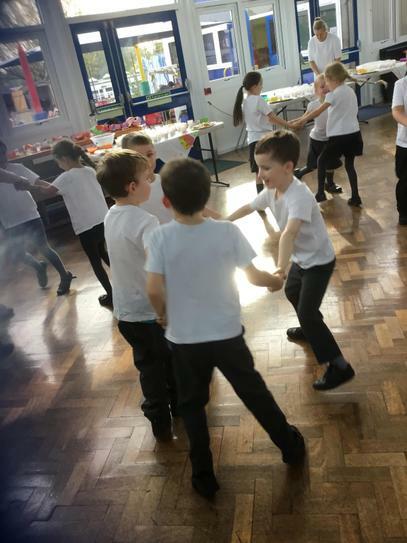 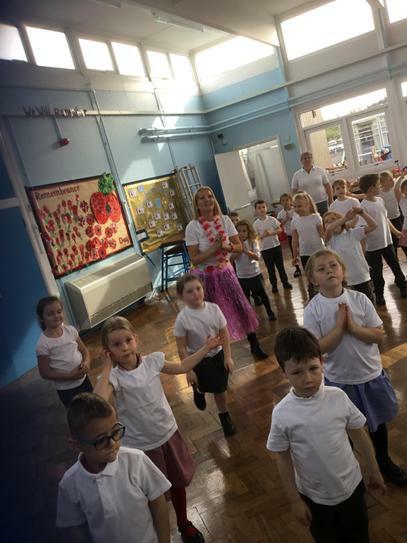 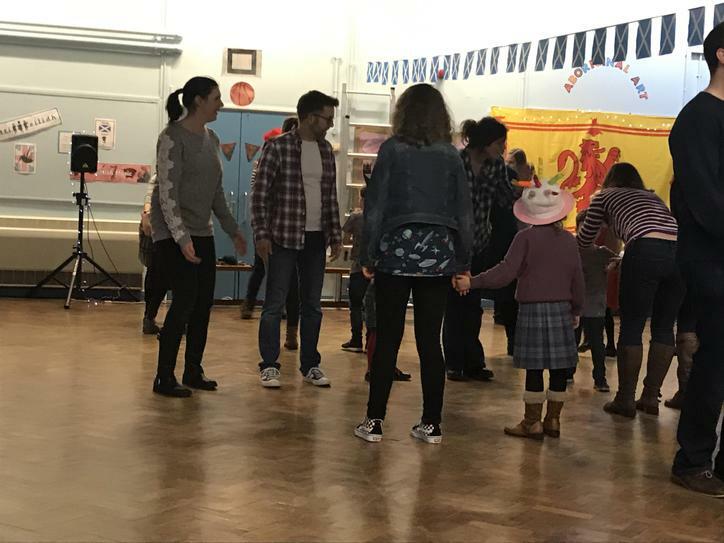 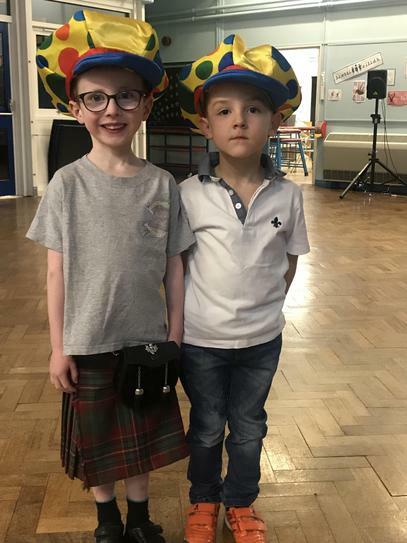 Friday 1st February 2019 ~ Family Ceilidh Night ~ lots of Scottish dancing, fun and games! 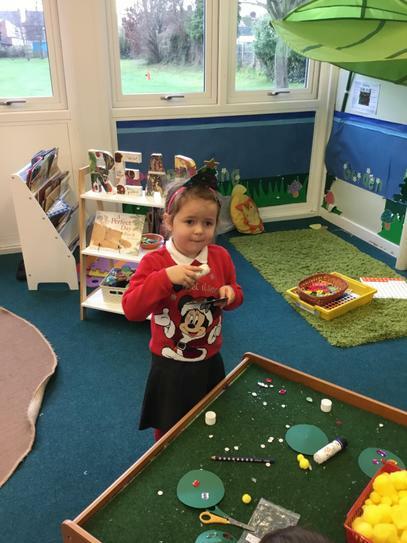 Spotty Day! 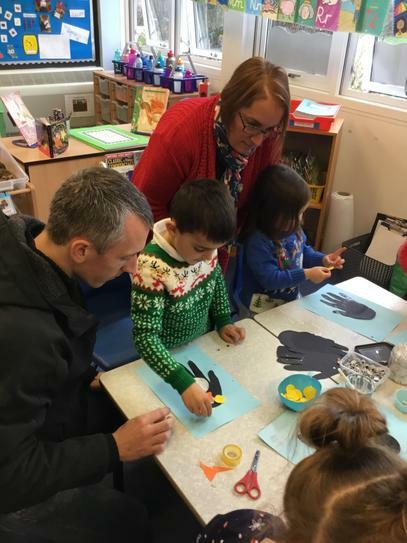 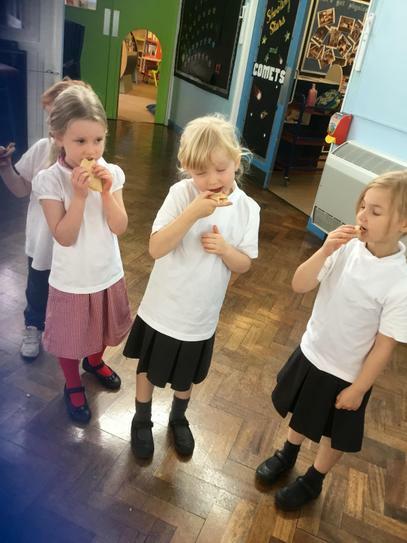 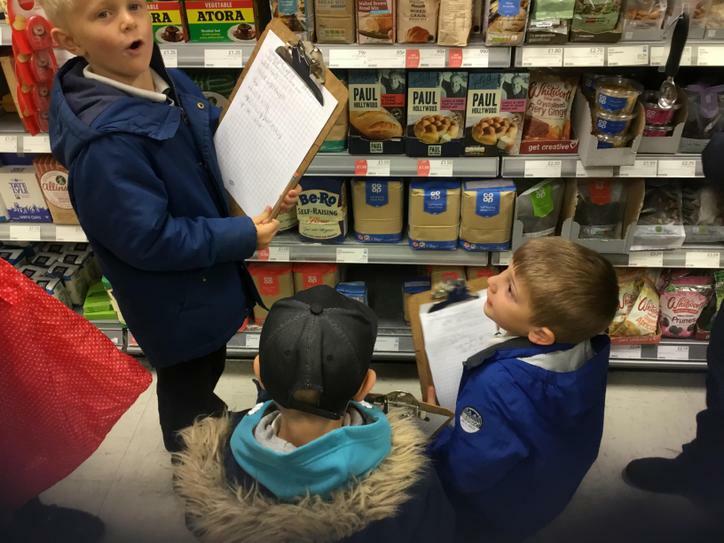 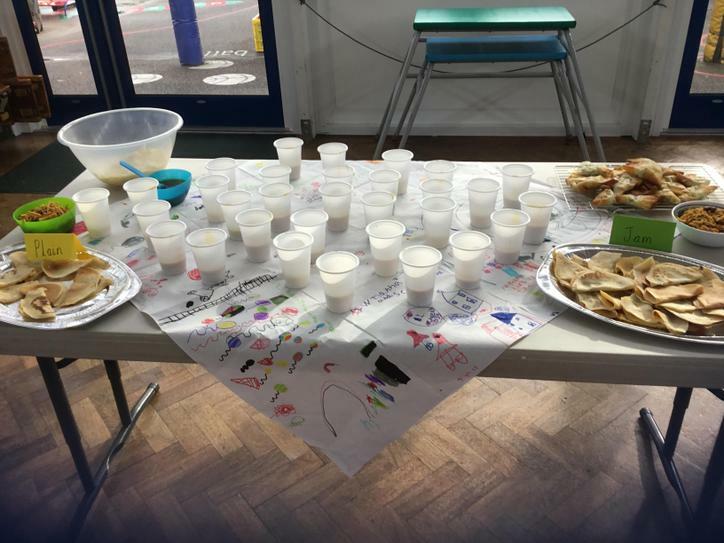 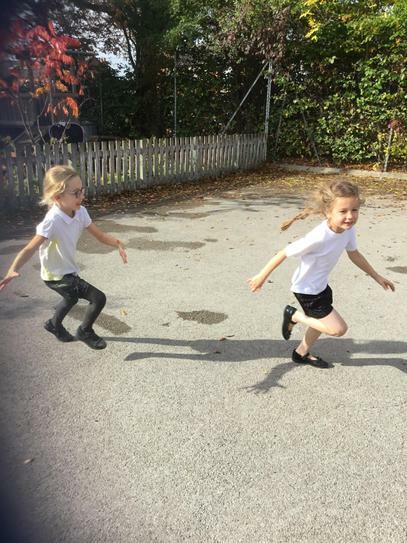 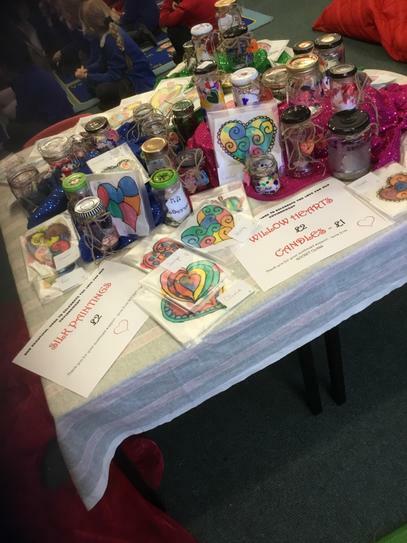 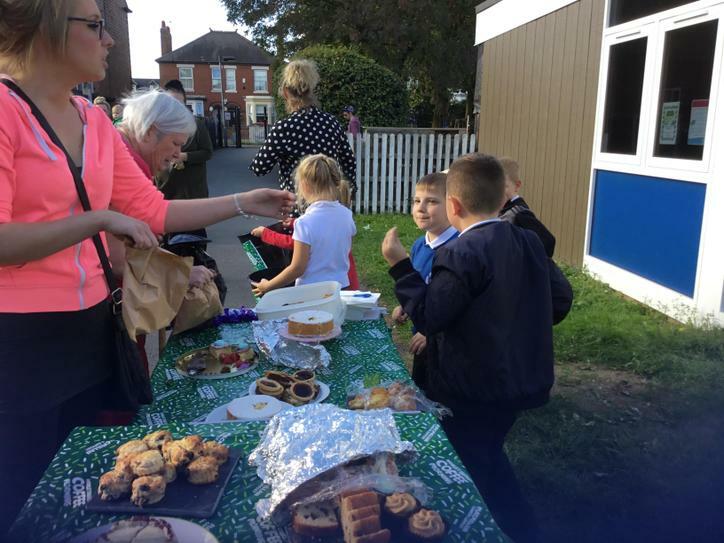 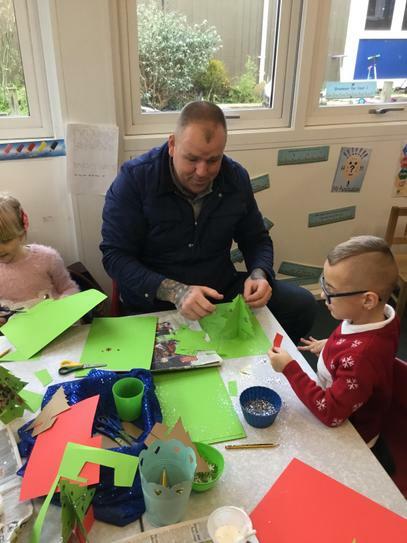 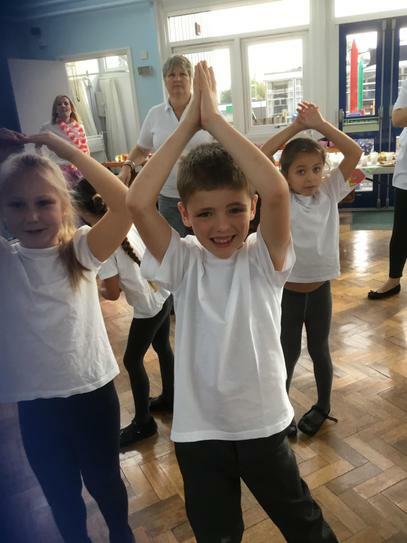 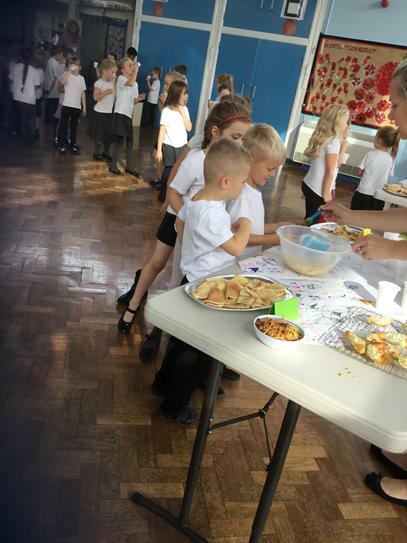 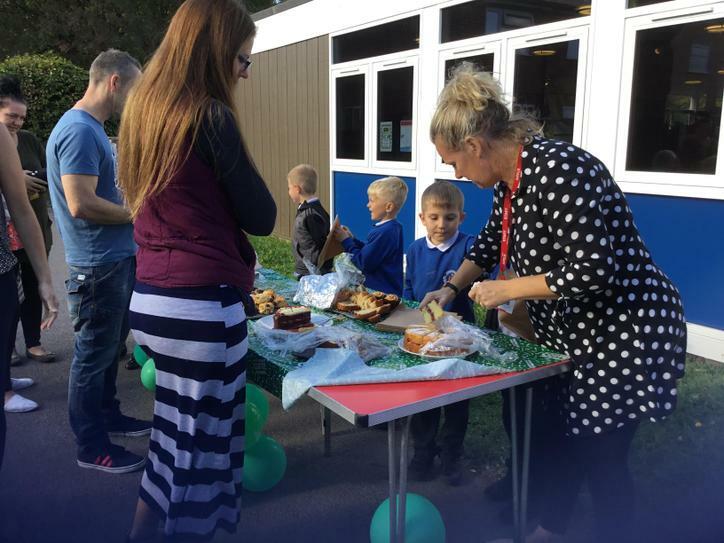 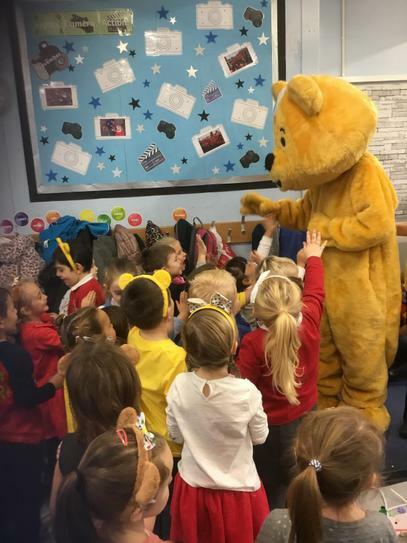 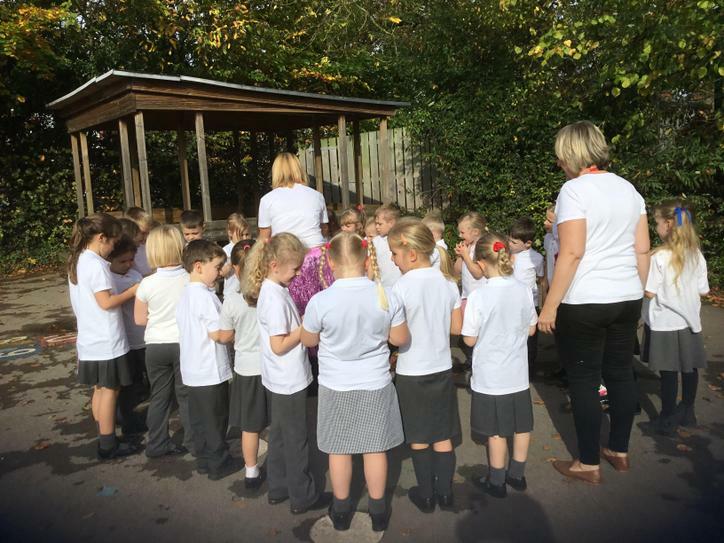 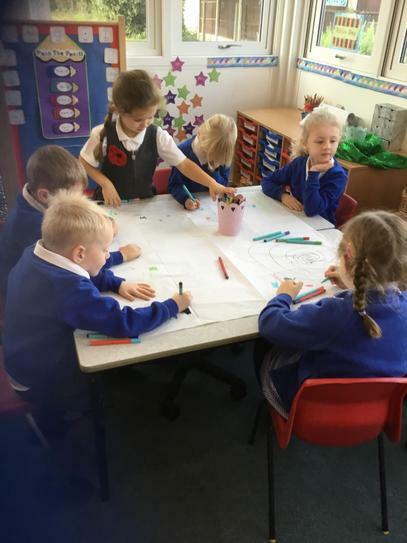 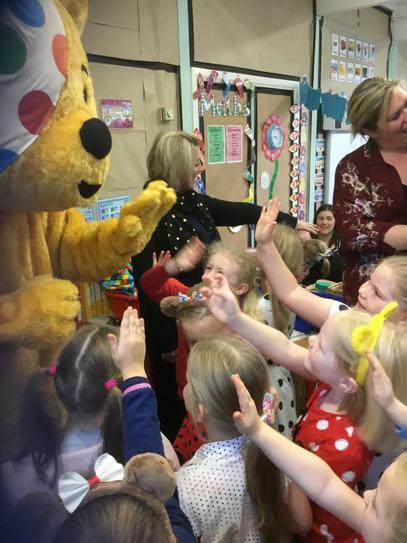 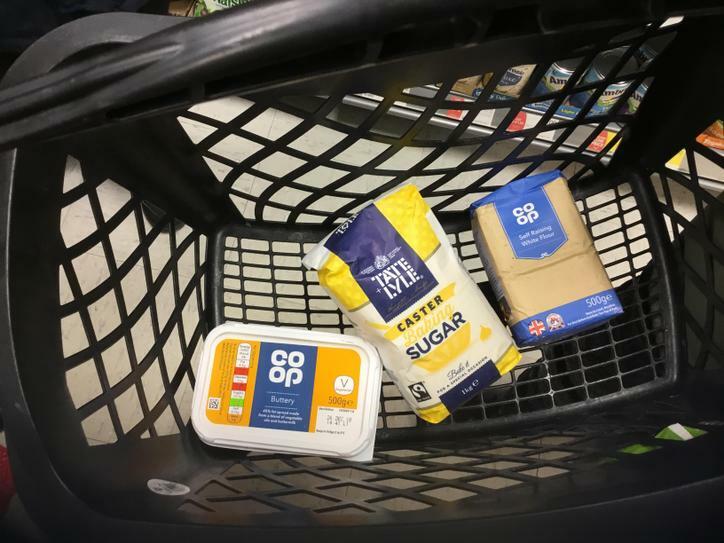 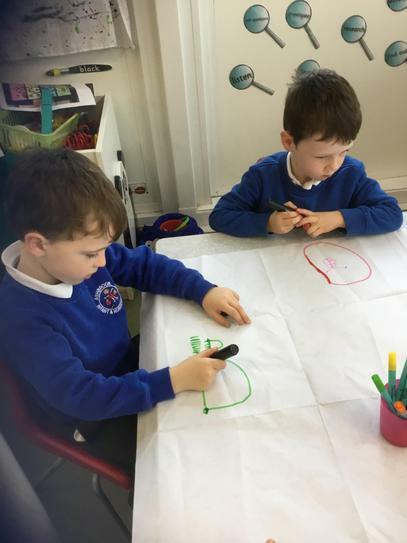 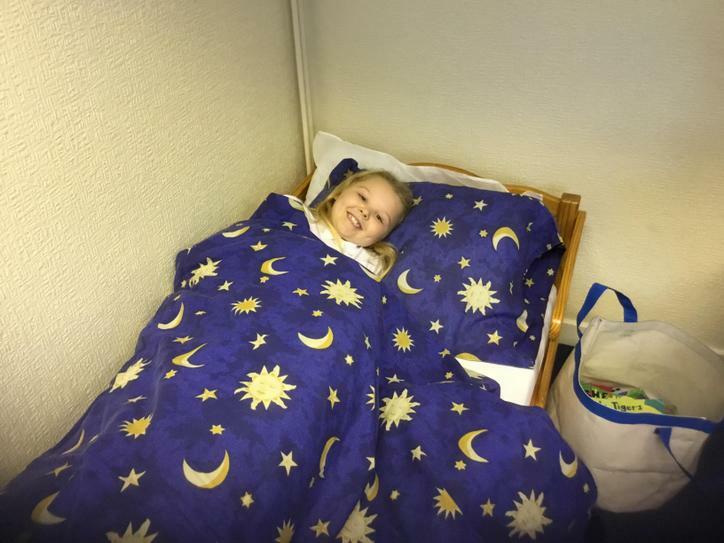 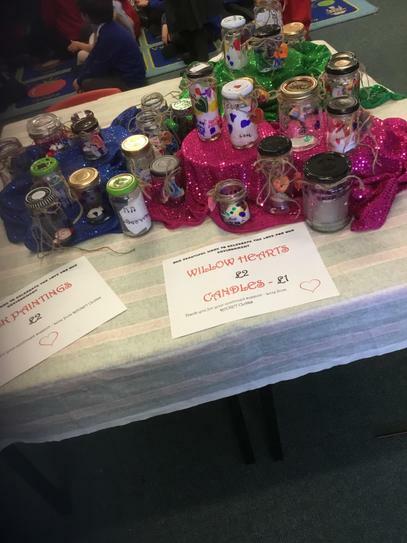 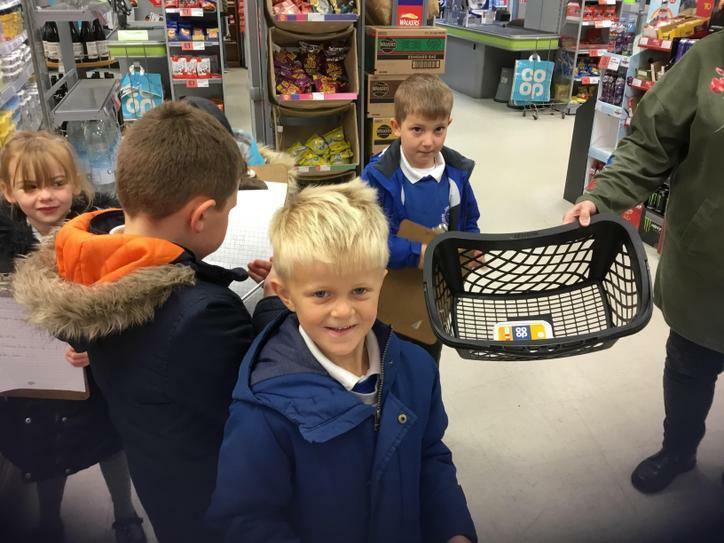 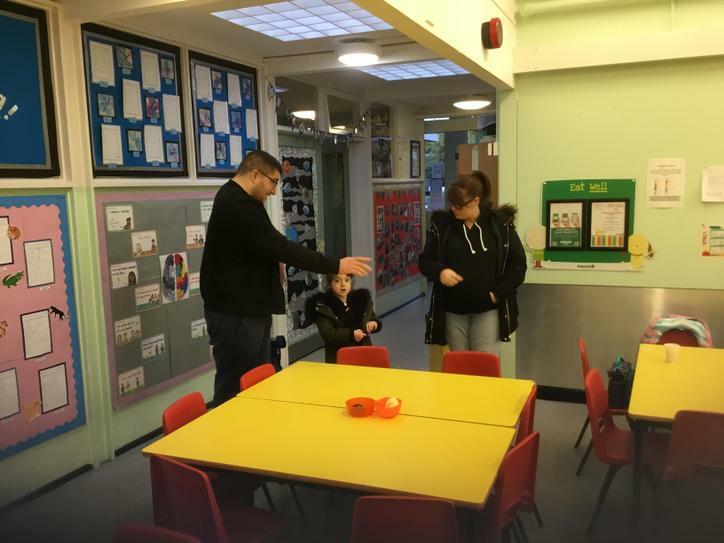 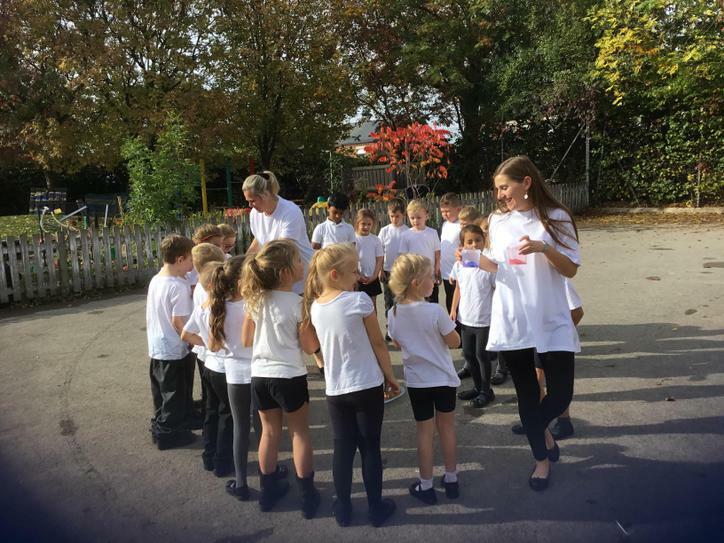 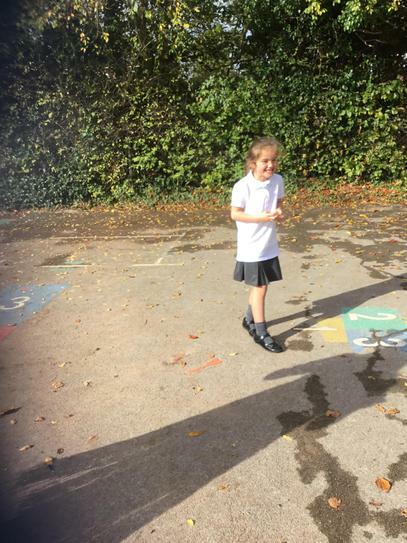 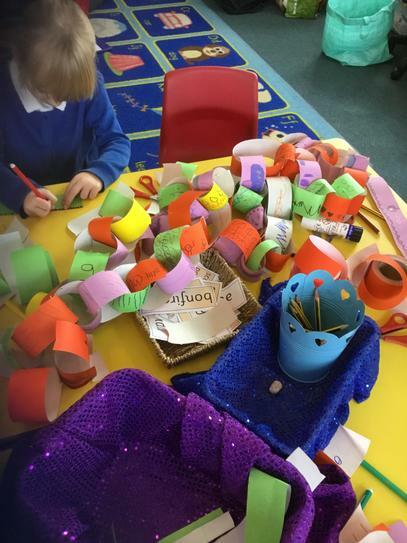 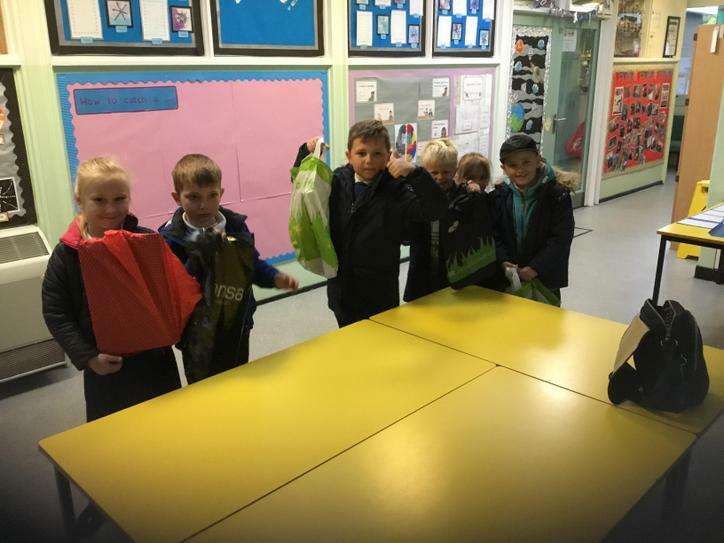 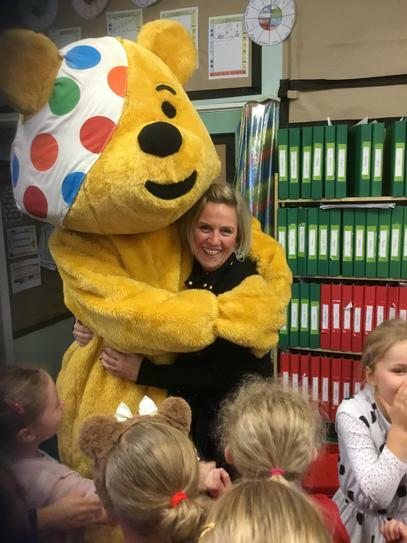 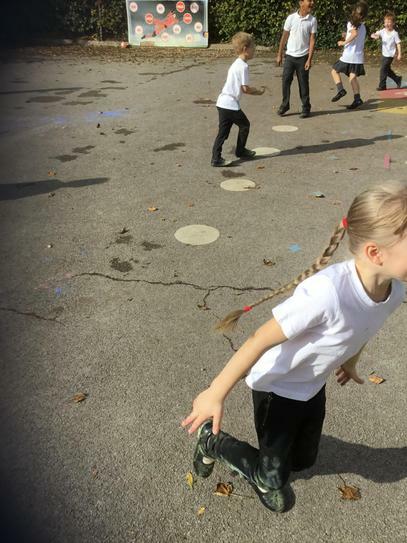 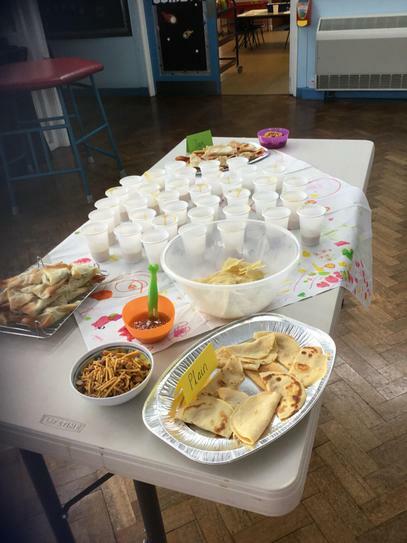 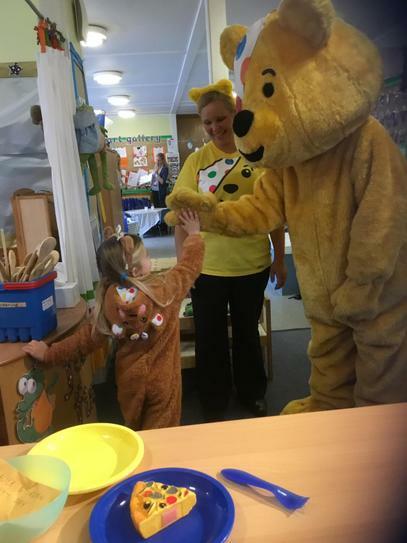 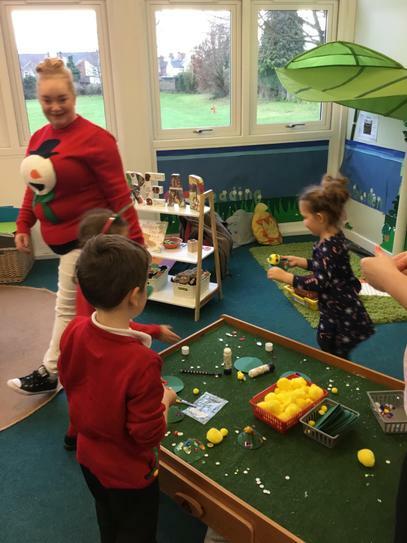 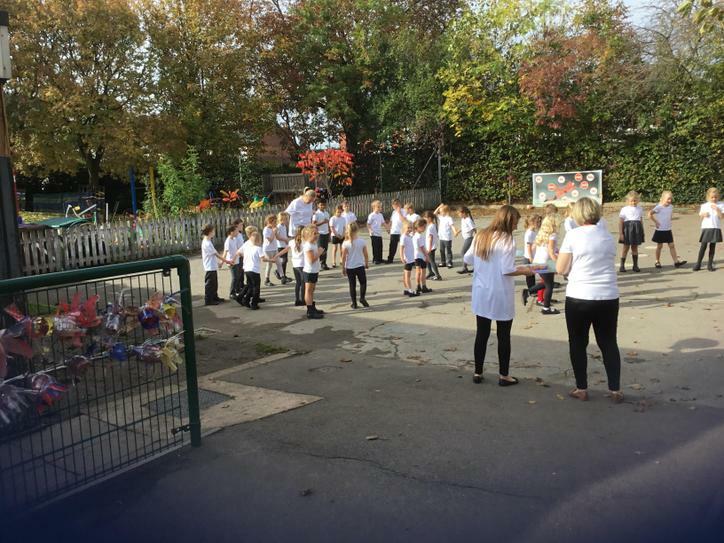 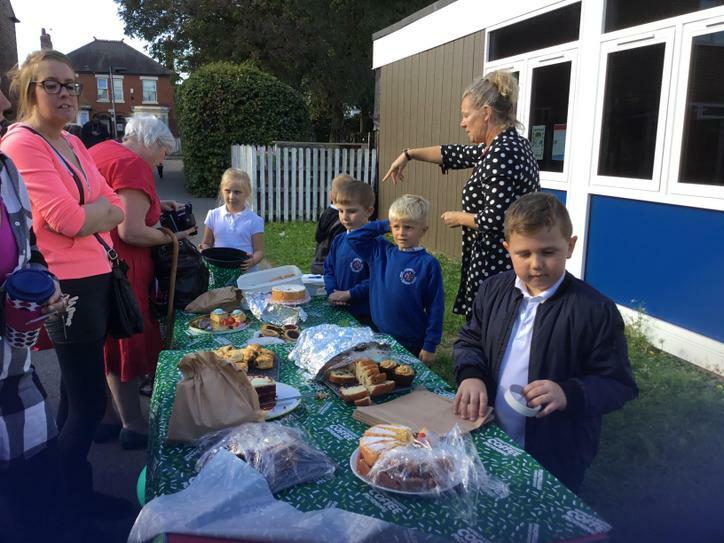 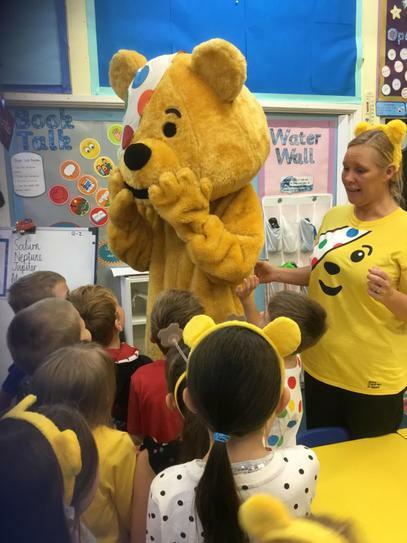 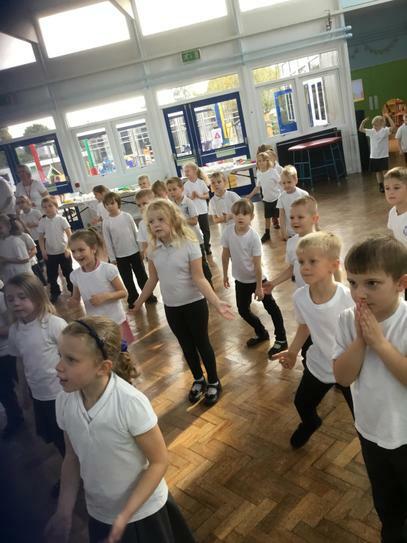 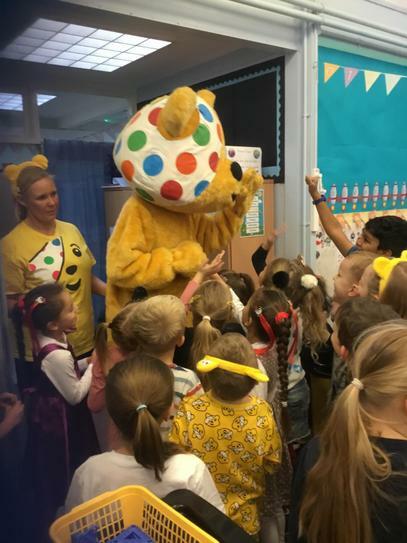 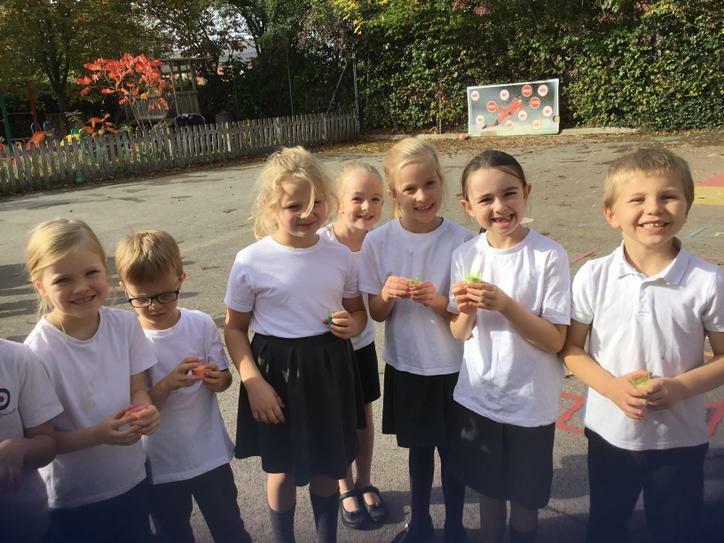 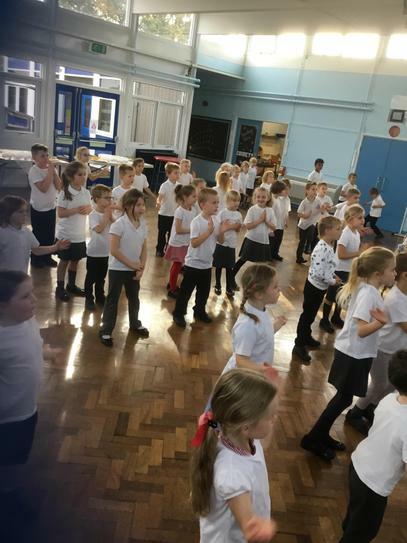 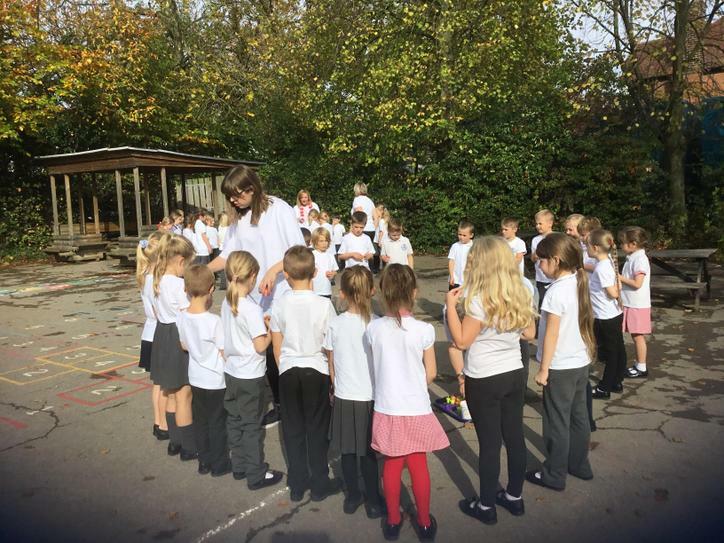 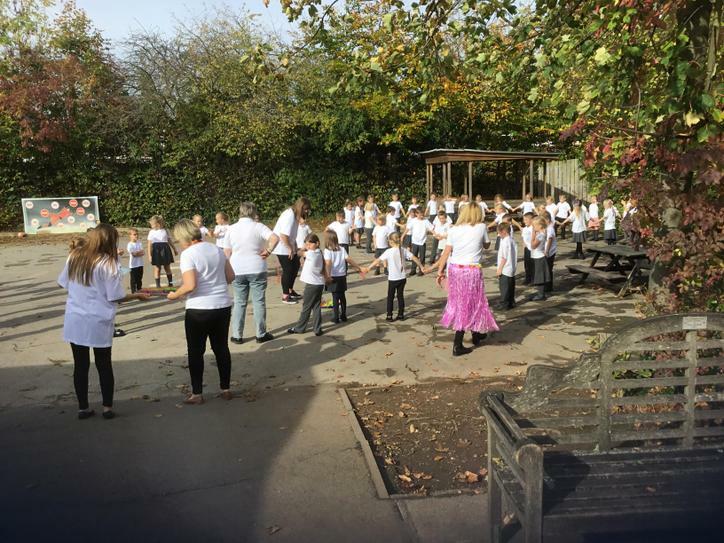 Raising money for Children in Need. 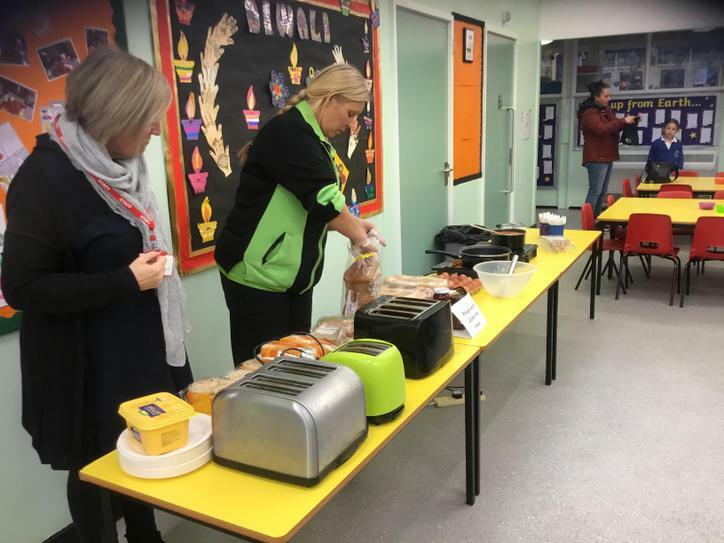 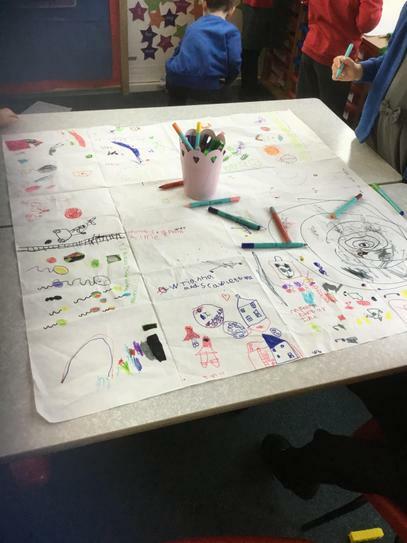 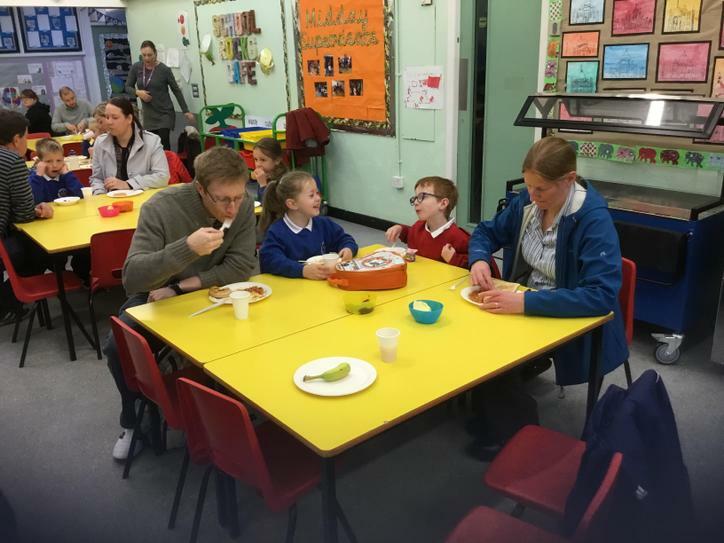 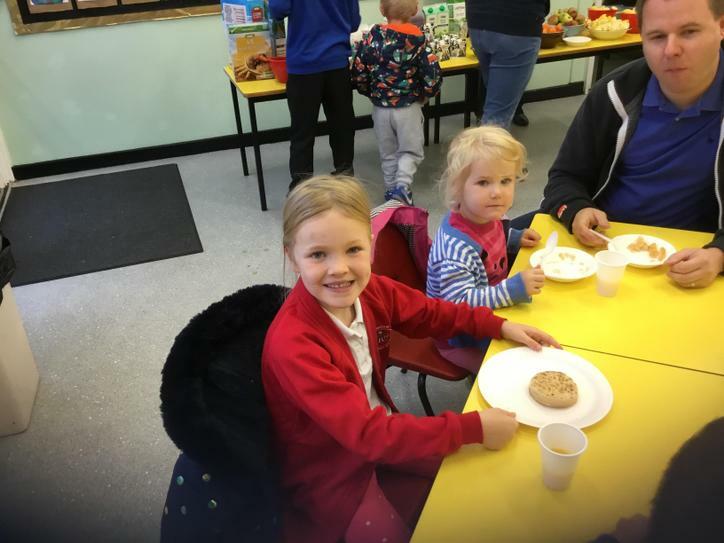 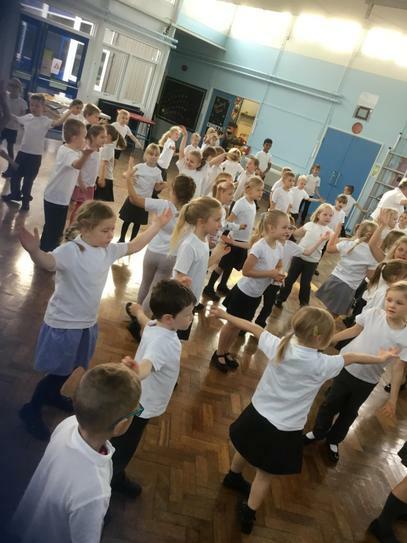 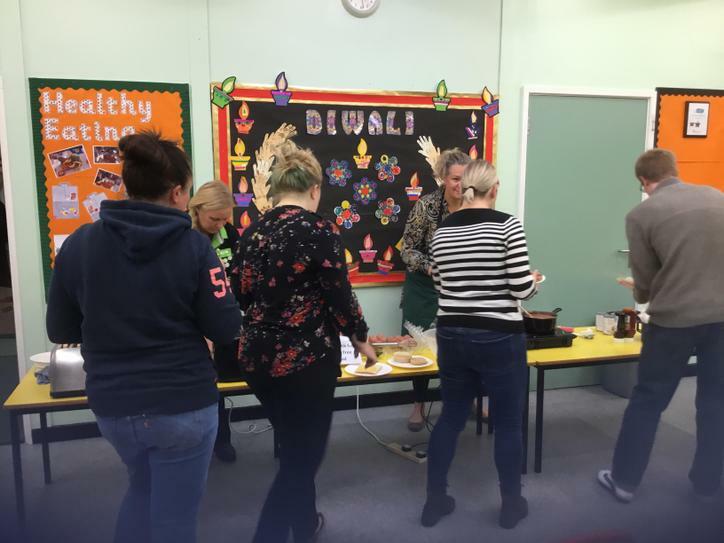 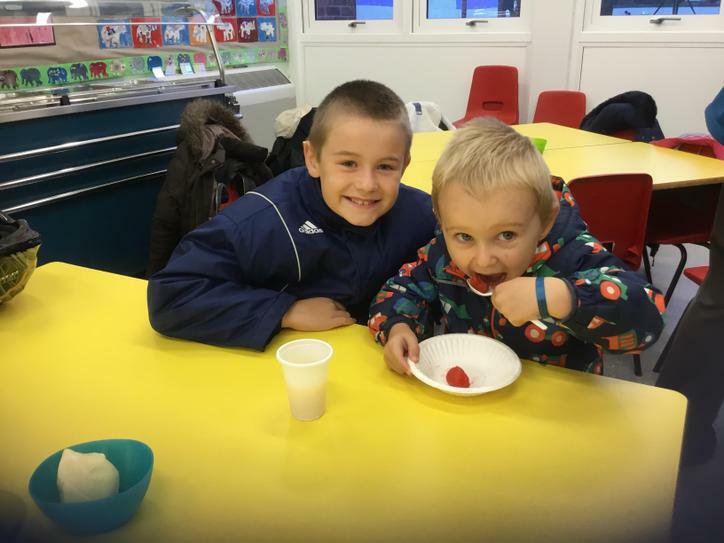 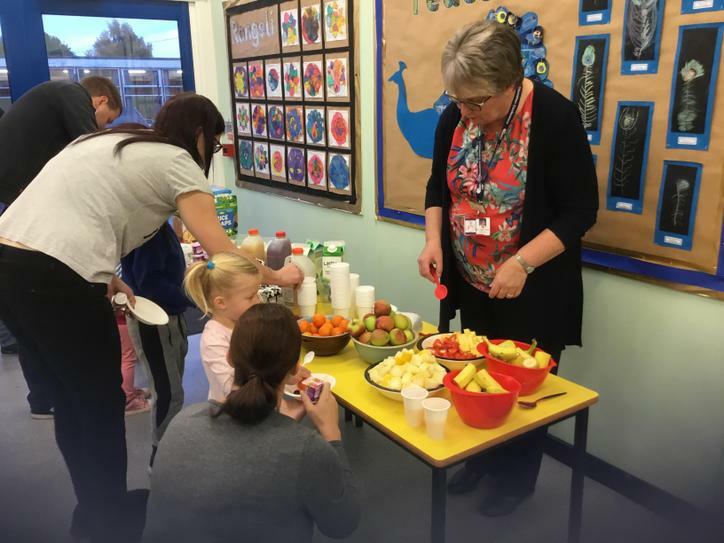 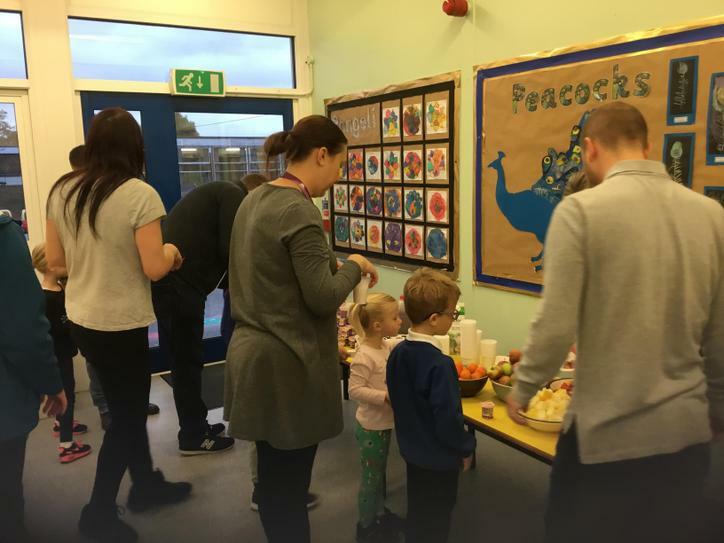 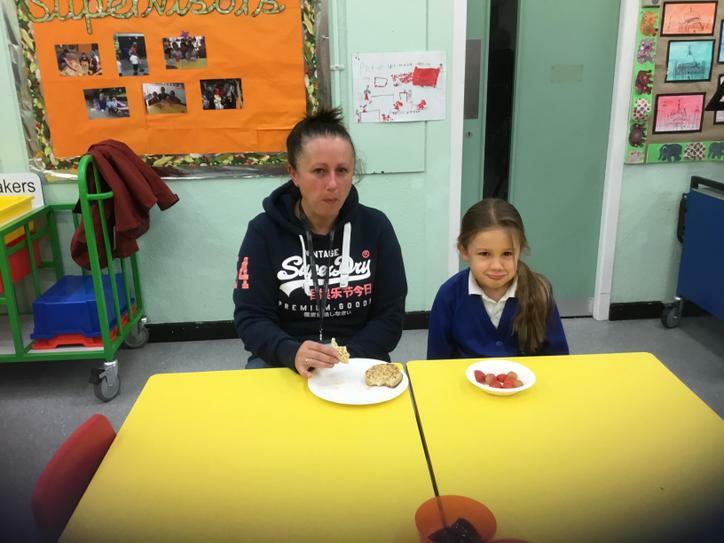 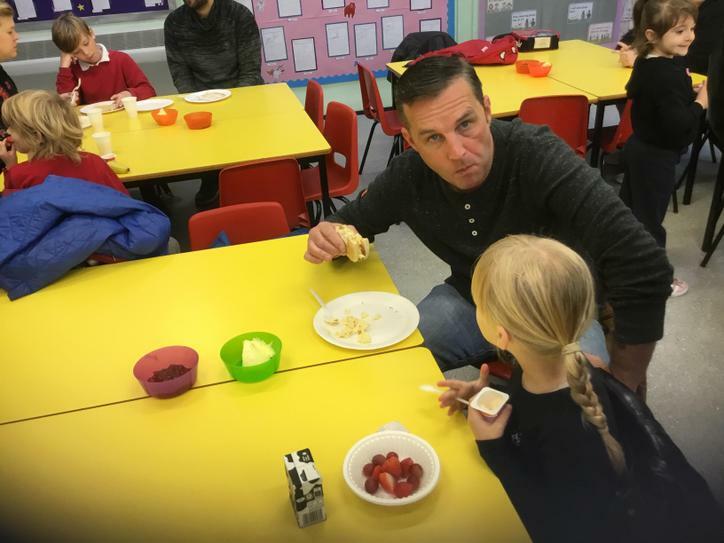 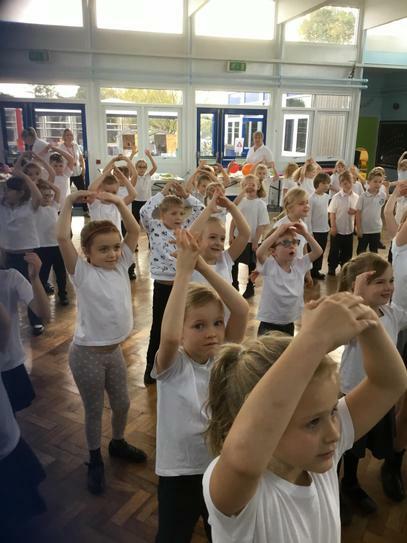 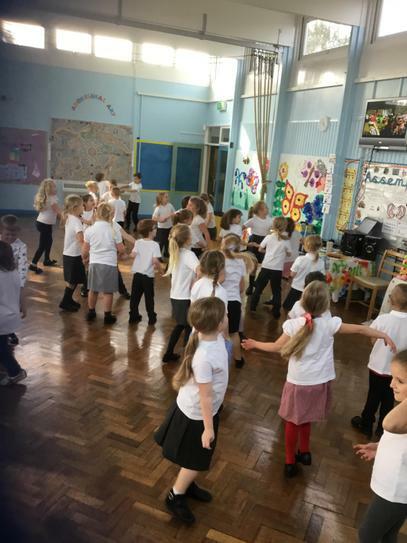 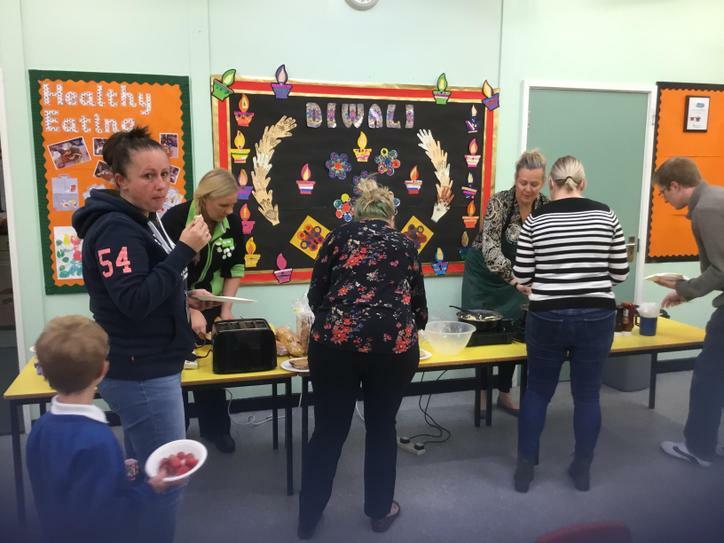 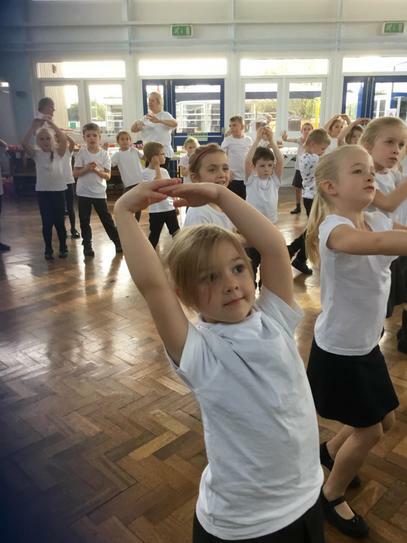 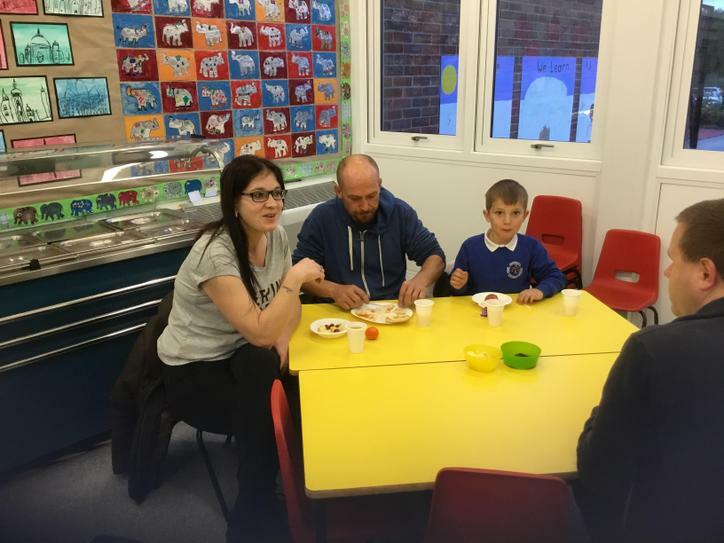 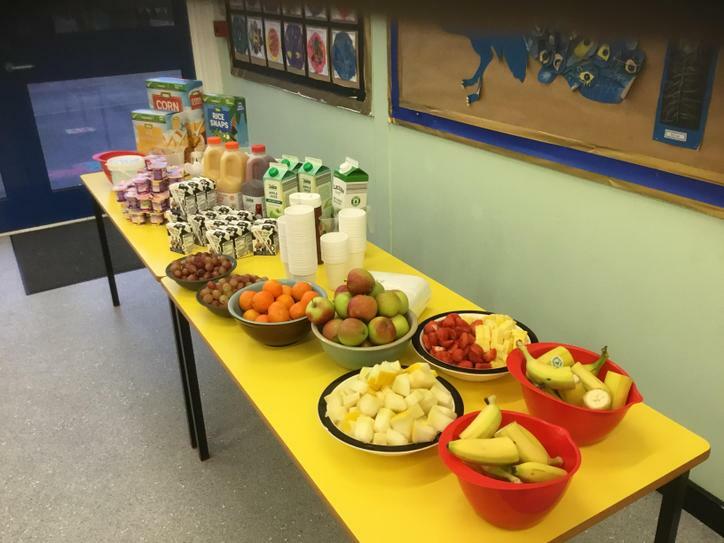 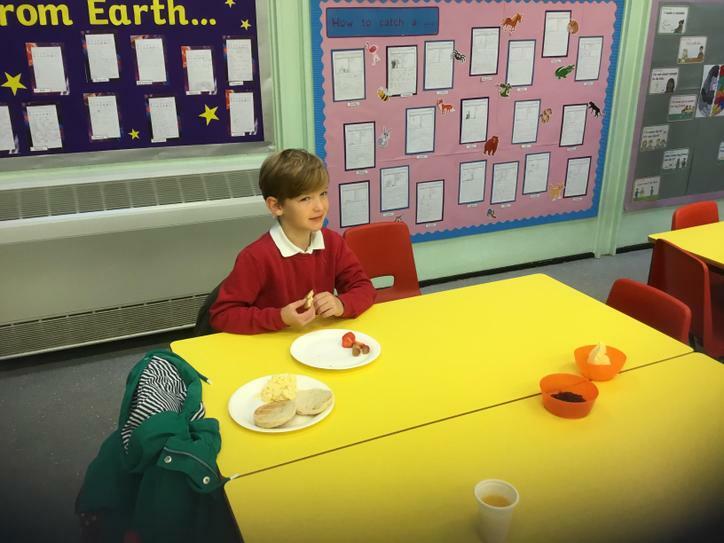 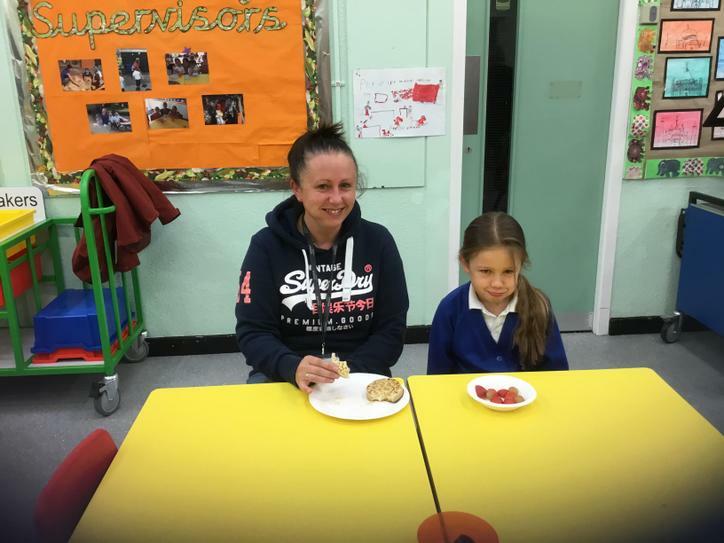 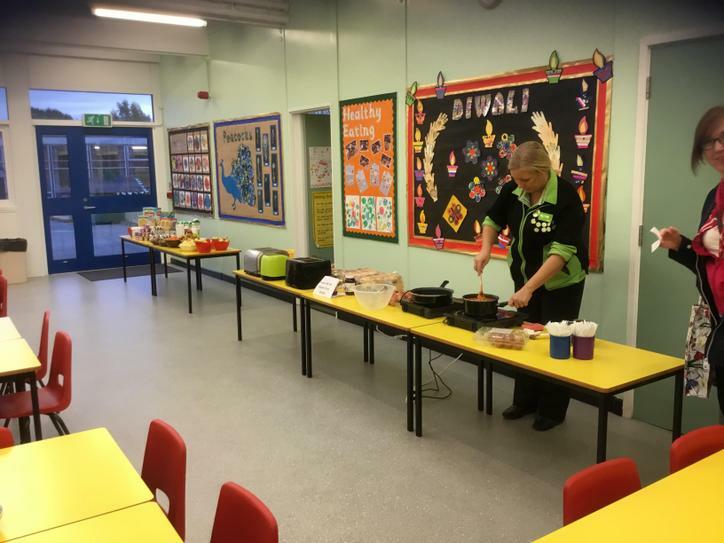 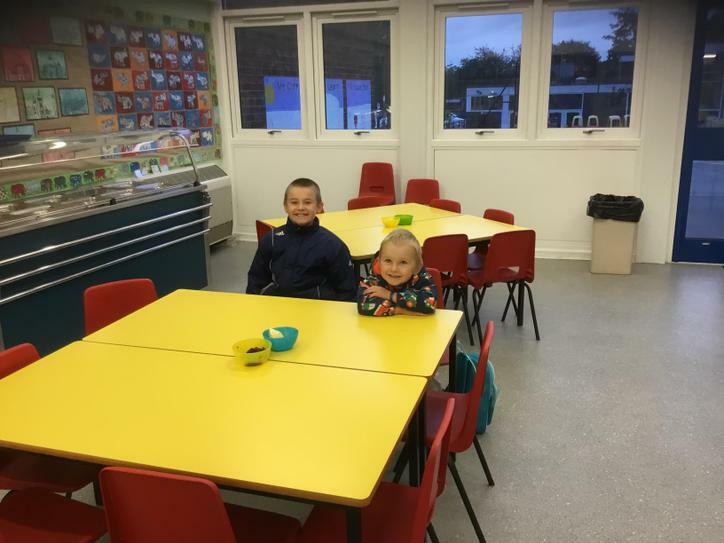 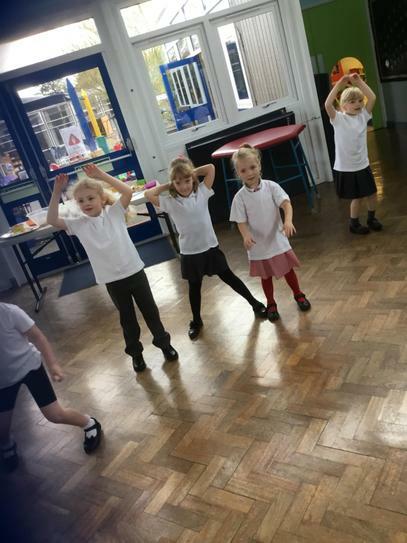 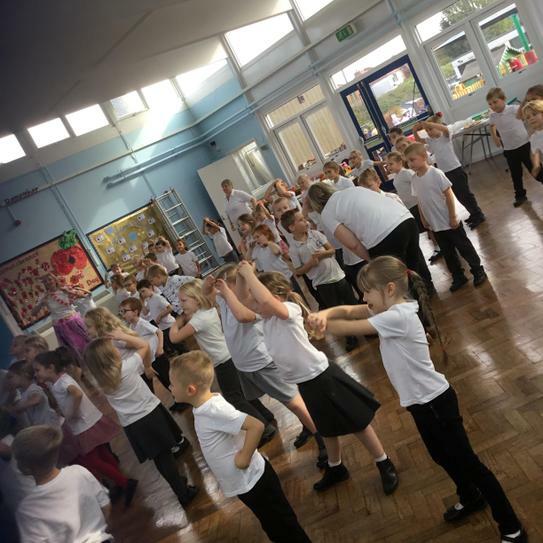 Our fantastic healthy breakfast club...can you spot yourself?! 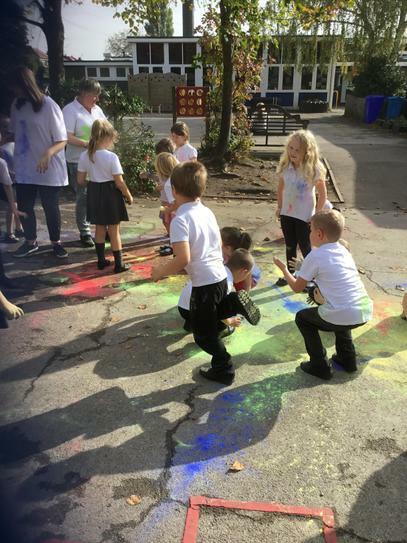 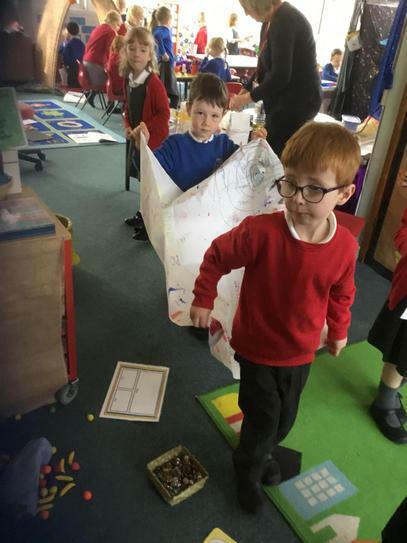 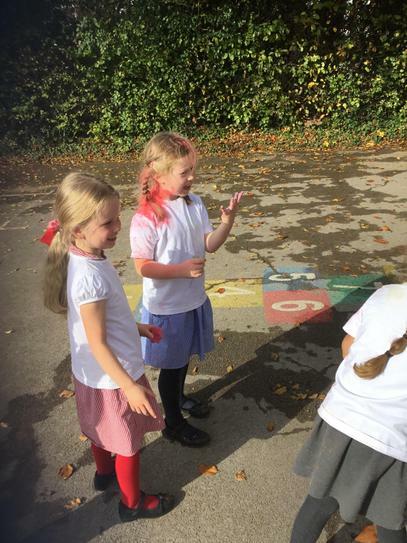 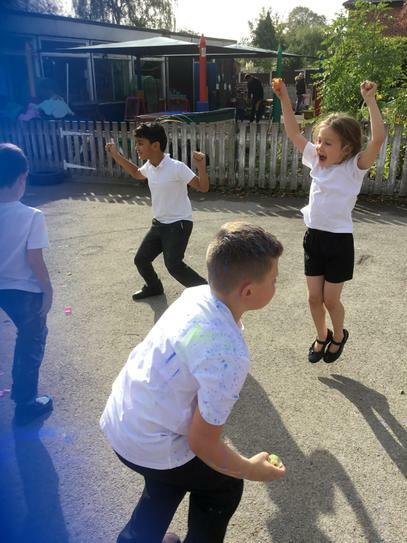 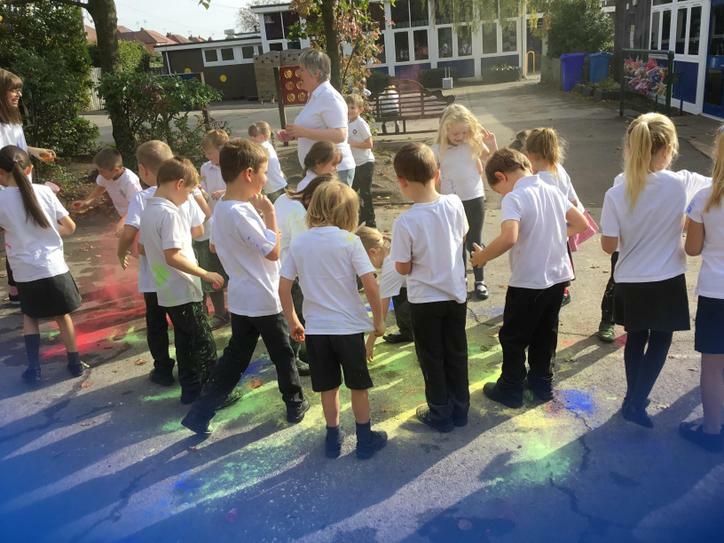 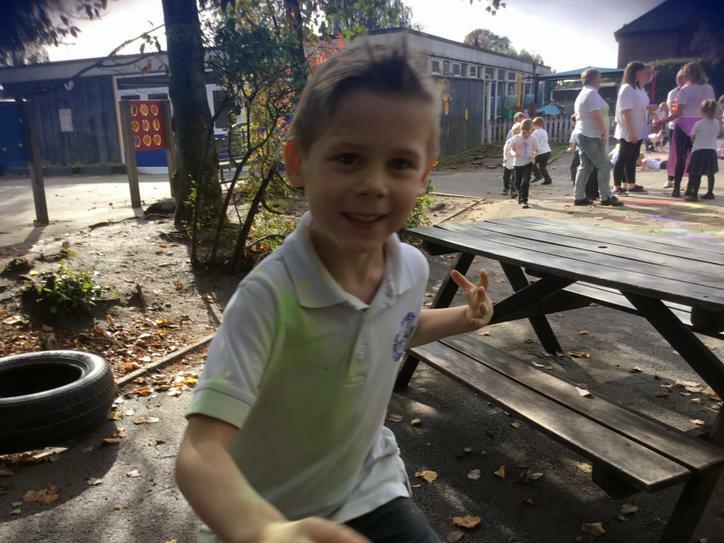 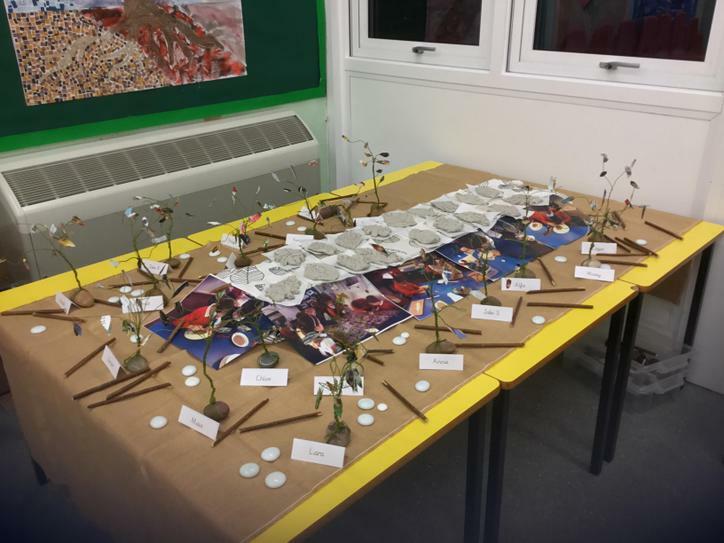 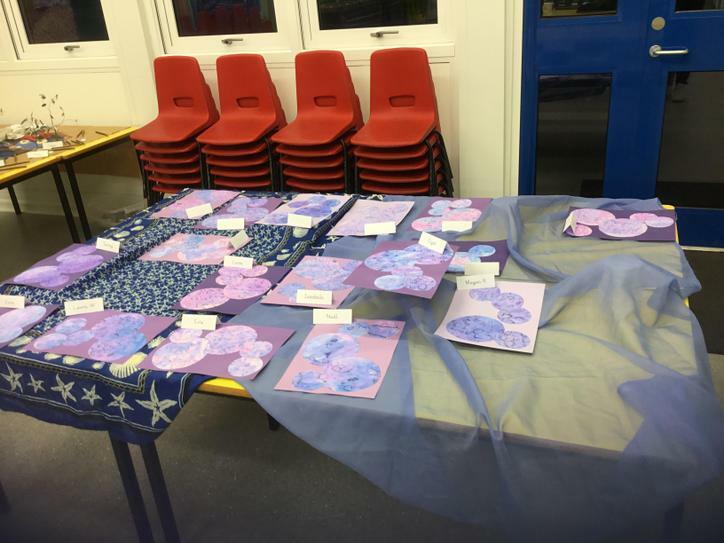 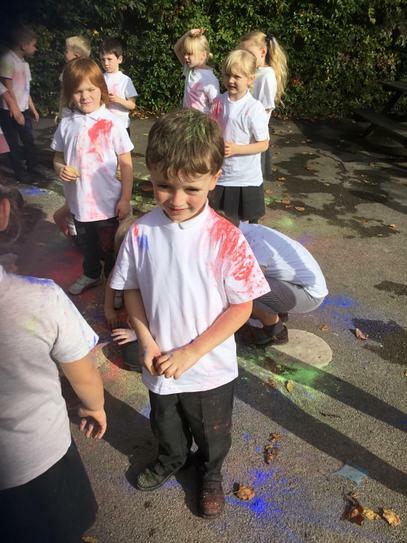 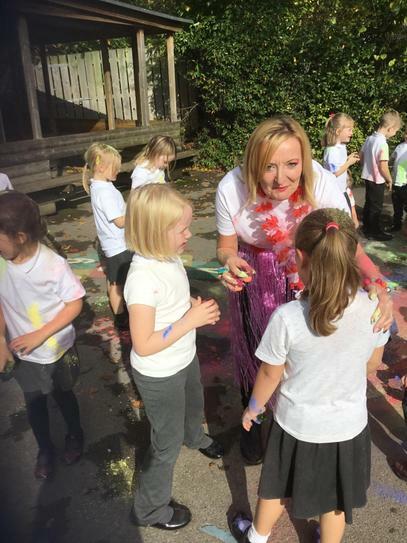 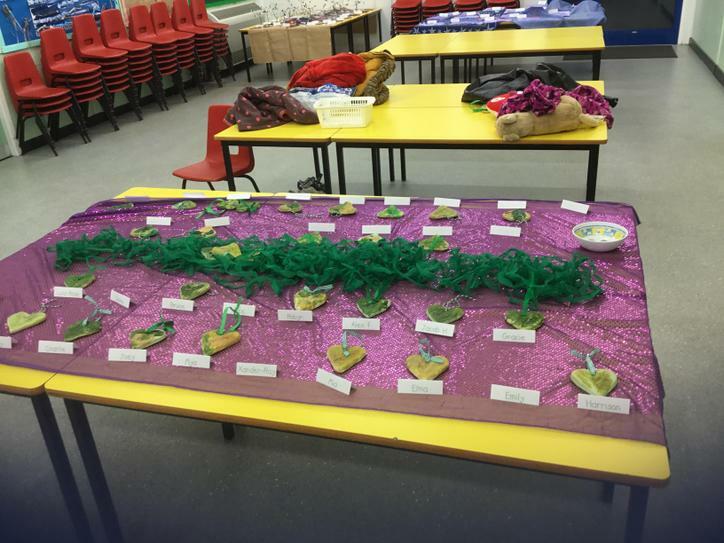 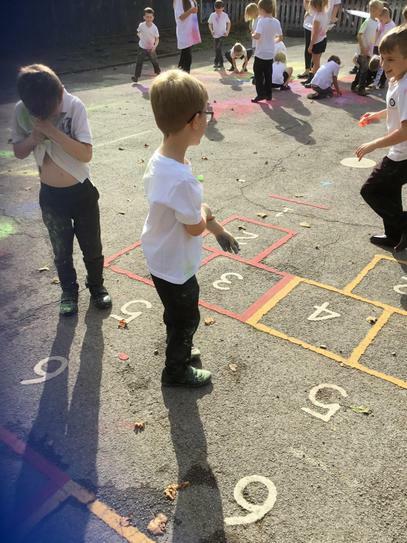 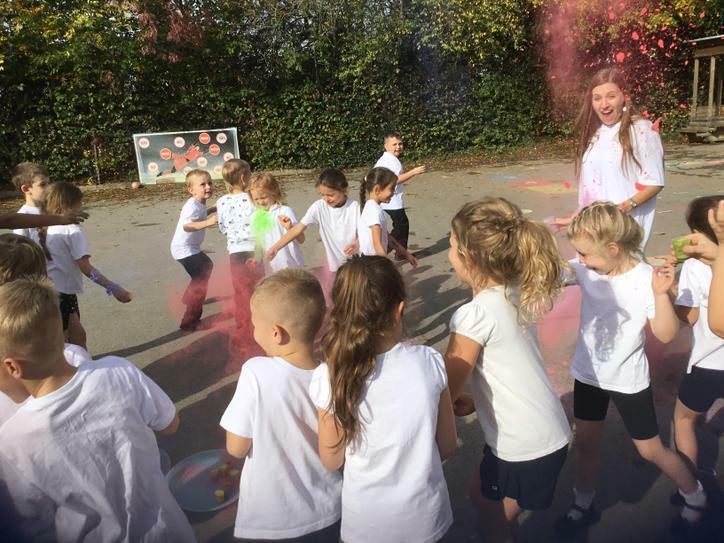 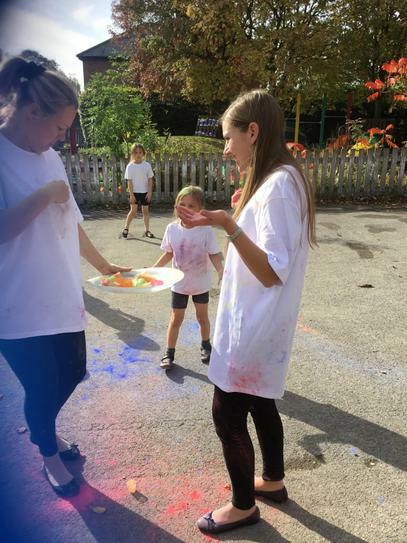 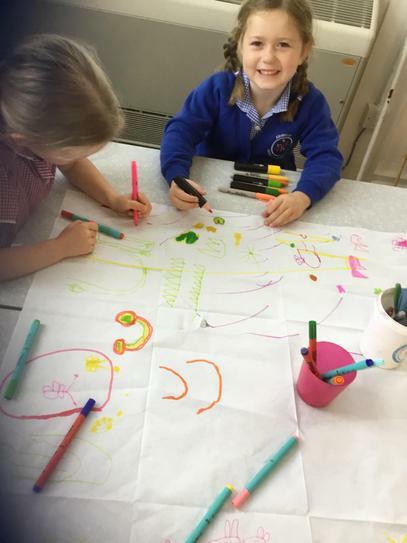 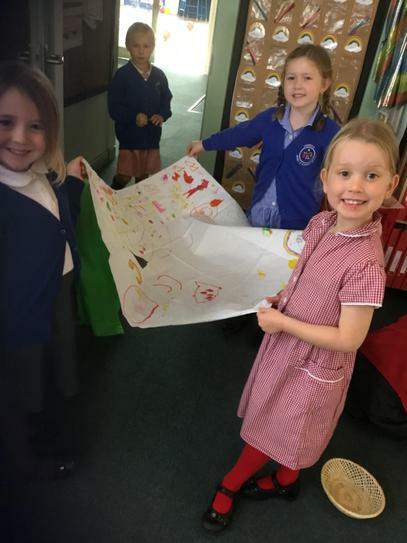 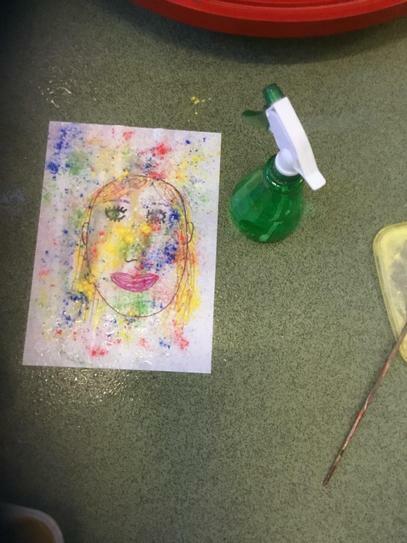 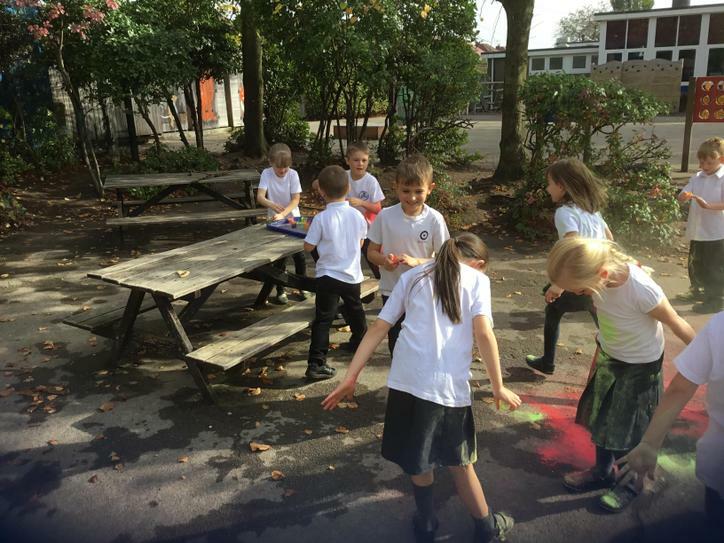 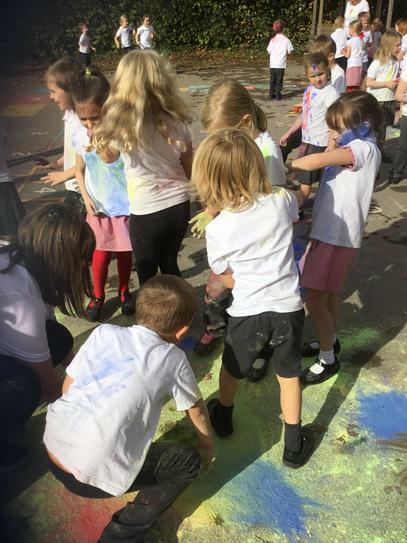 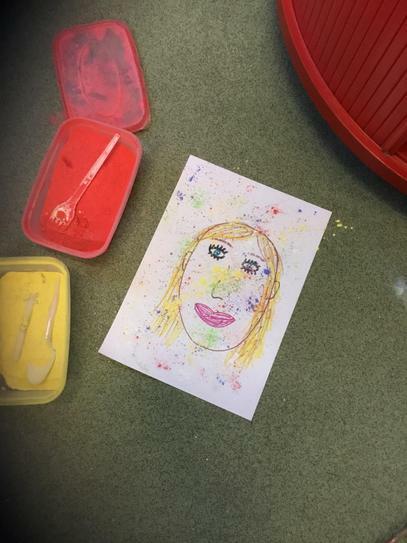 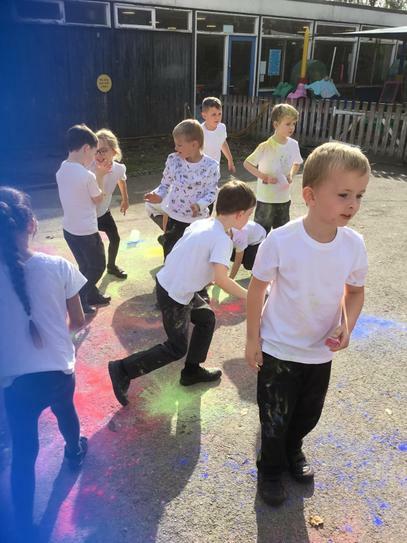 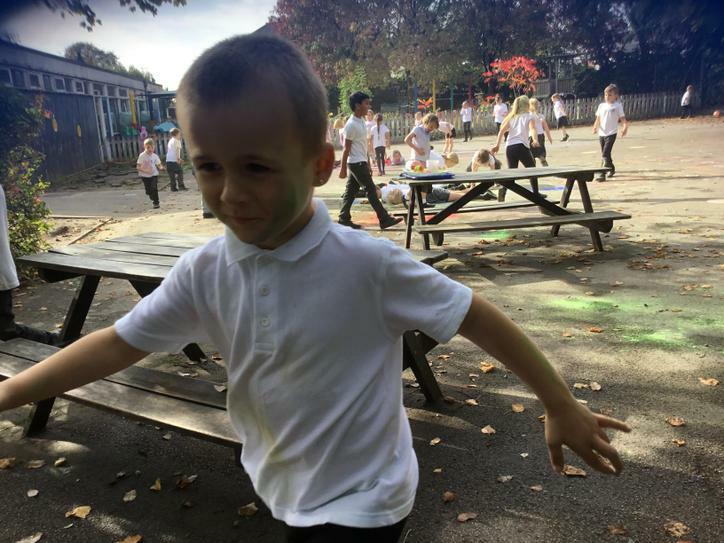 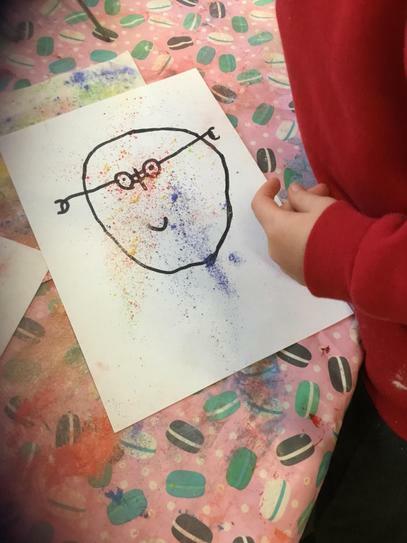 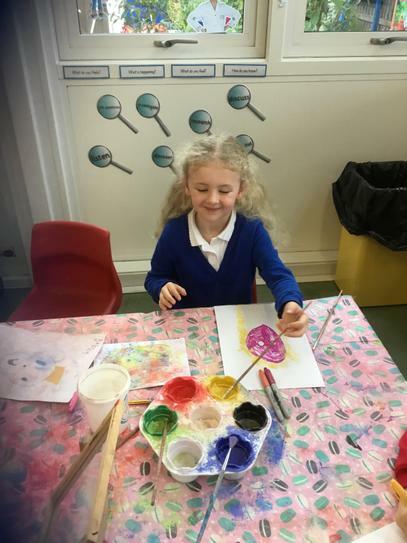 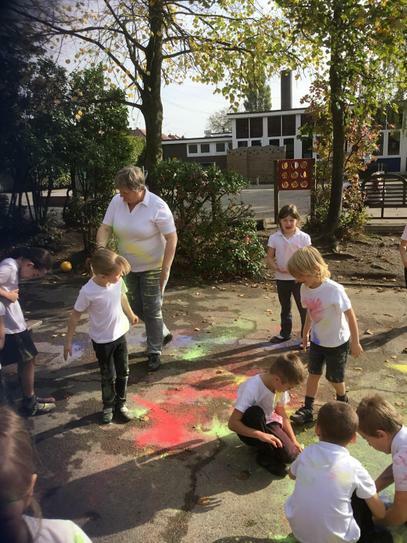 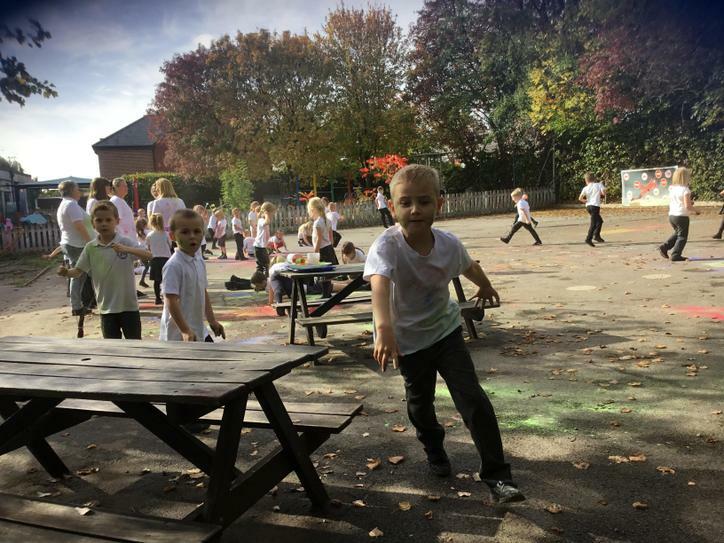 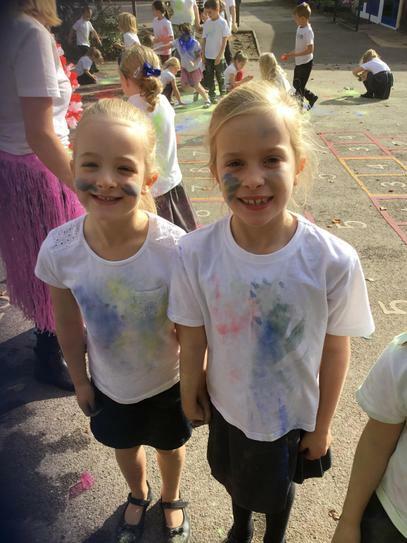 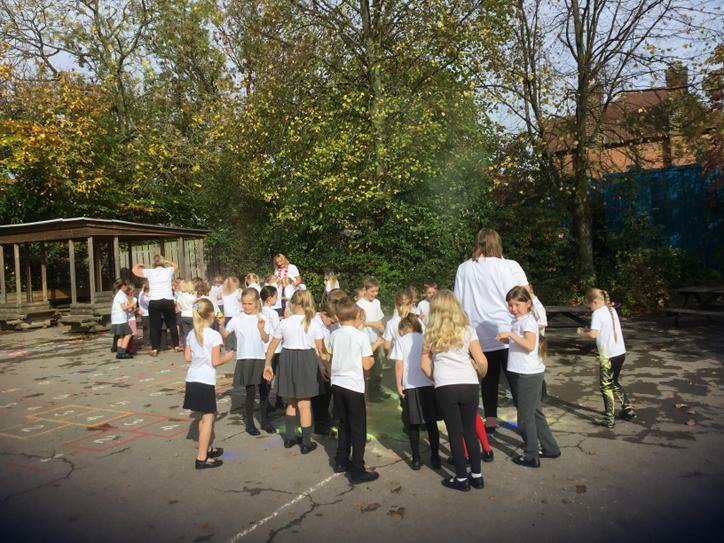 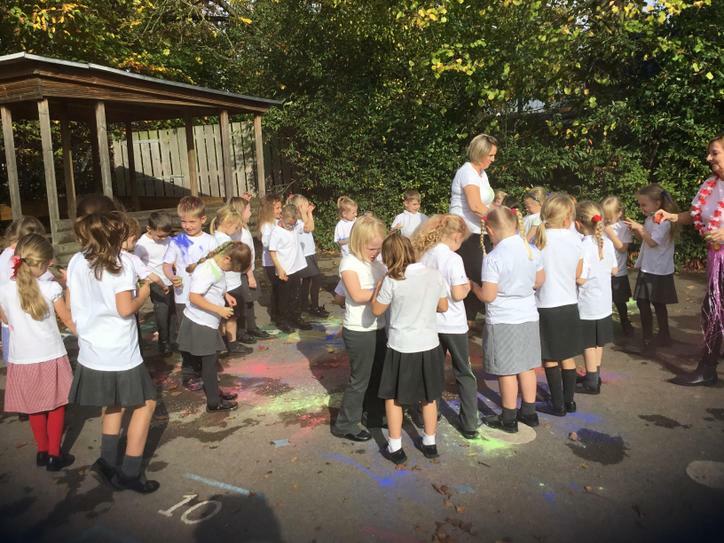 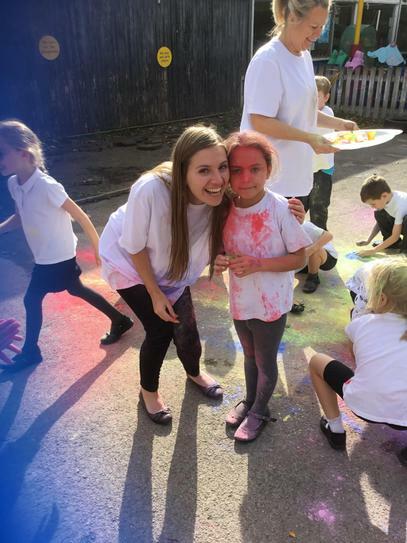 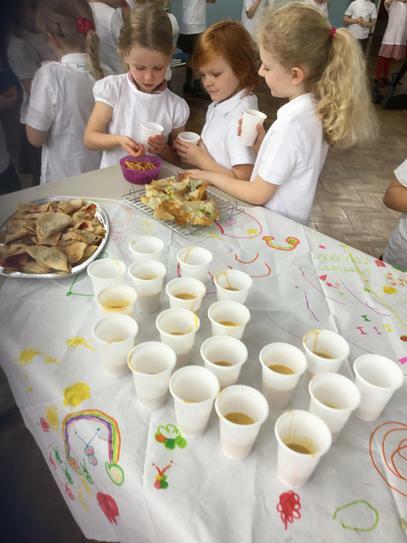 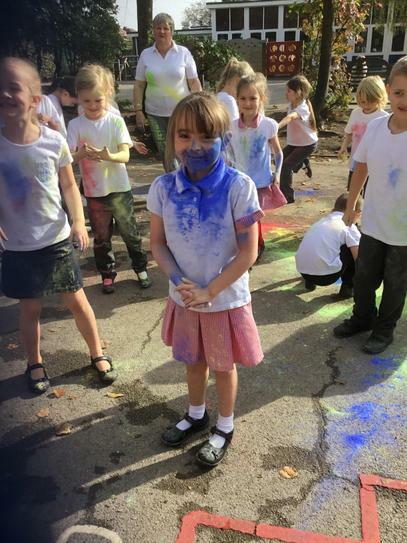 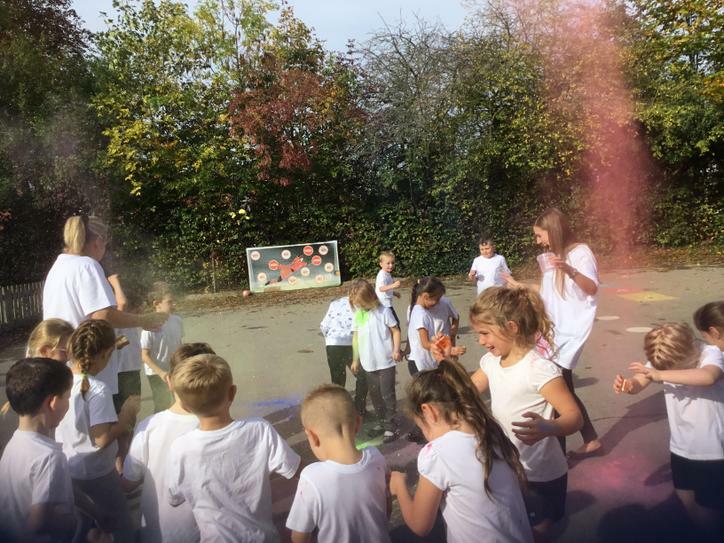 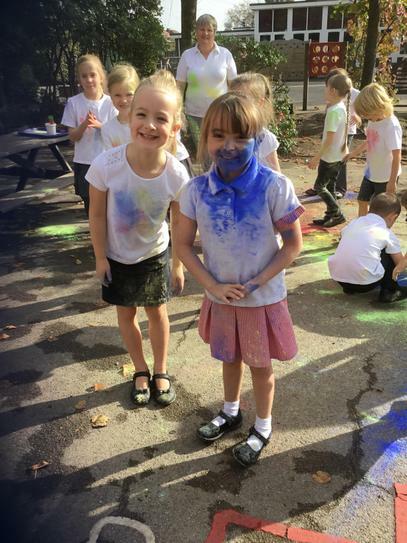 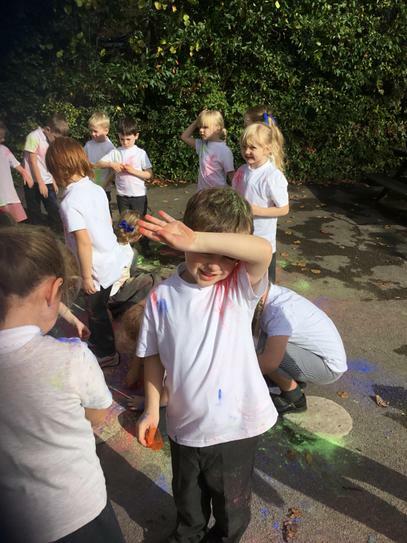 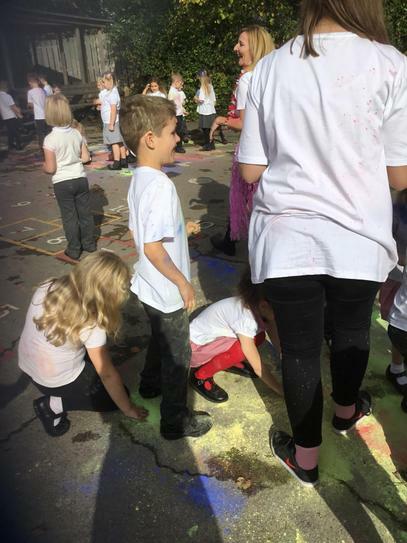 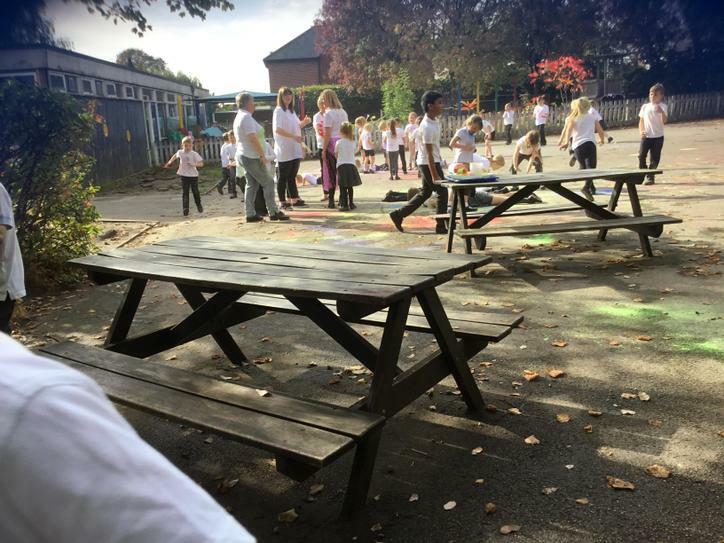 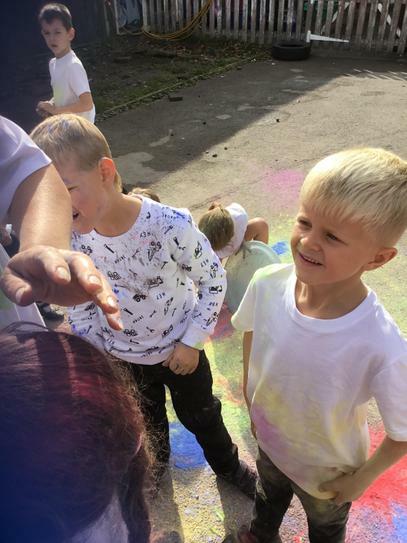 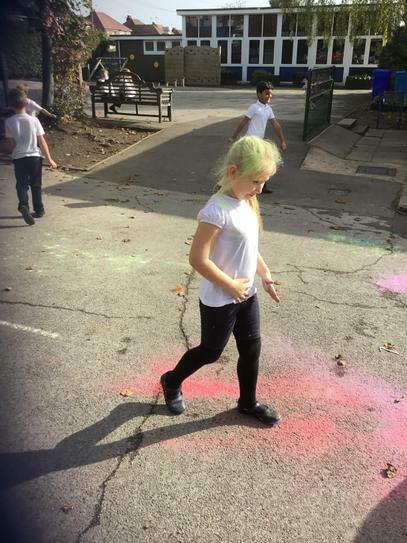 Key Stage One Holi Festival of Colour Celebrations - a fantastic RE enrichment project!